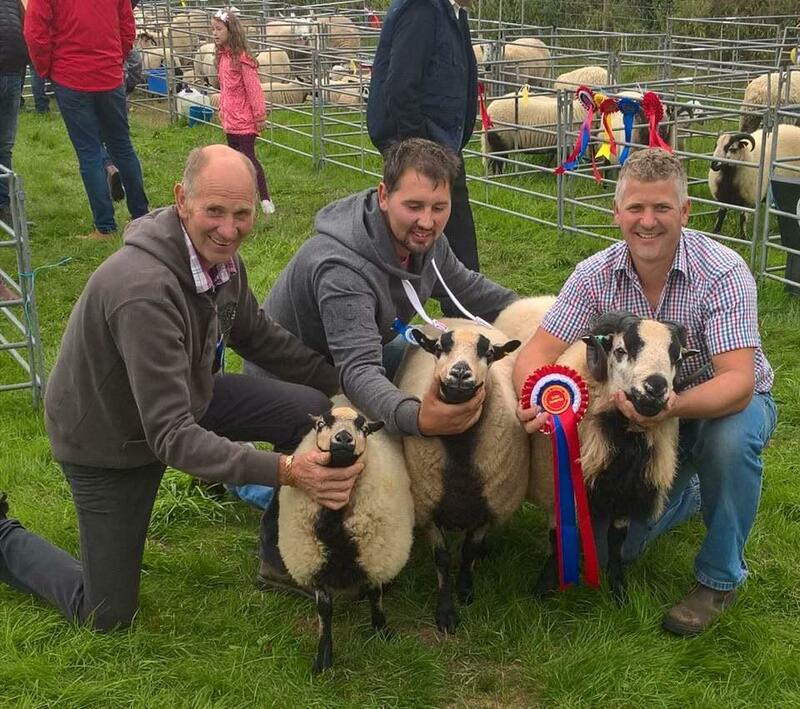 Society Show & Sale Champion Torddu Aron Hemmings, Reserve Torddu Sean Jeffreys, Champion Torwen Gareth Jones, Reserve Torwen Meirion and Dafydd Williams. 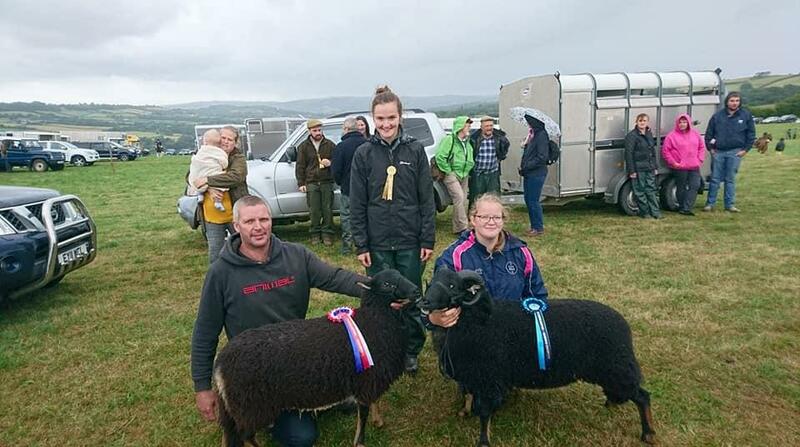 Lucy Levinge & Ellie Layton came 1st in the Torddu pairs out of 34. 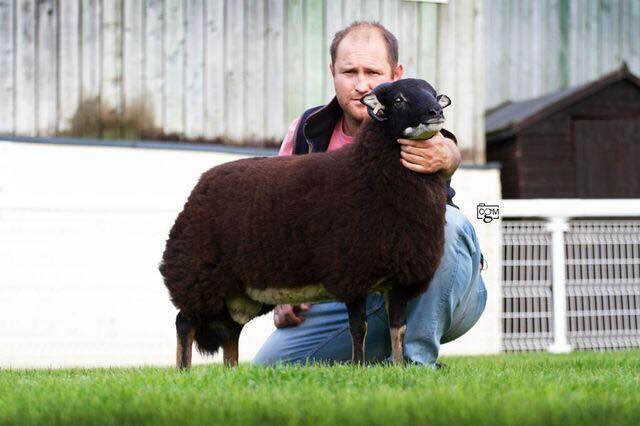 Highest Priced Male - Torwen Ram - Lot 5193 - Malcolm Evans. 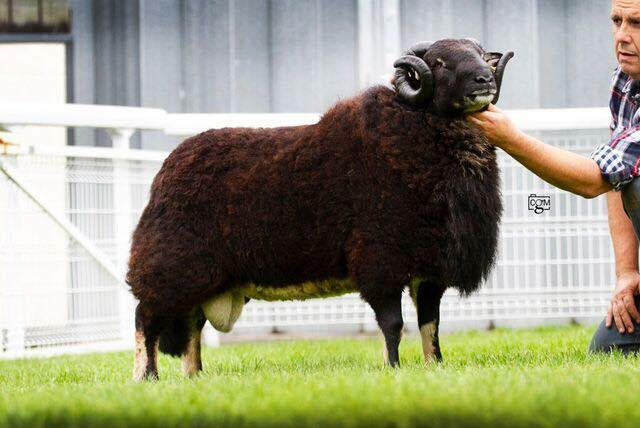 1240 guineas. 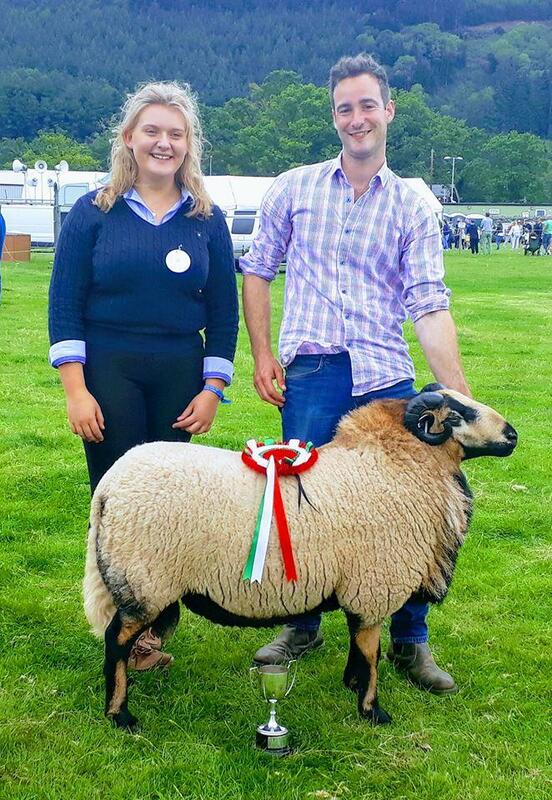 Cerrigydridion show. 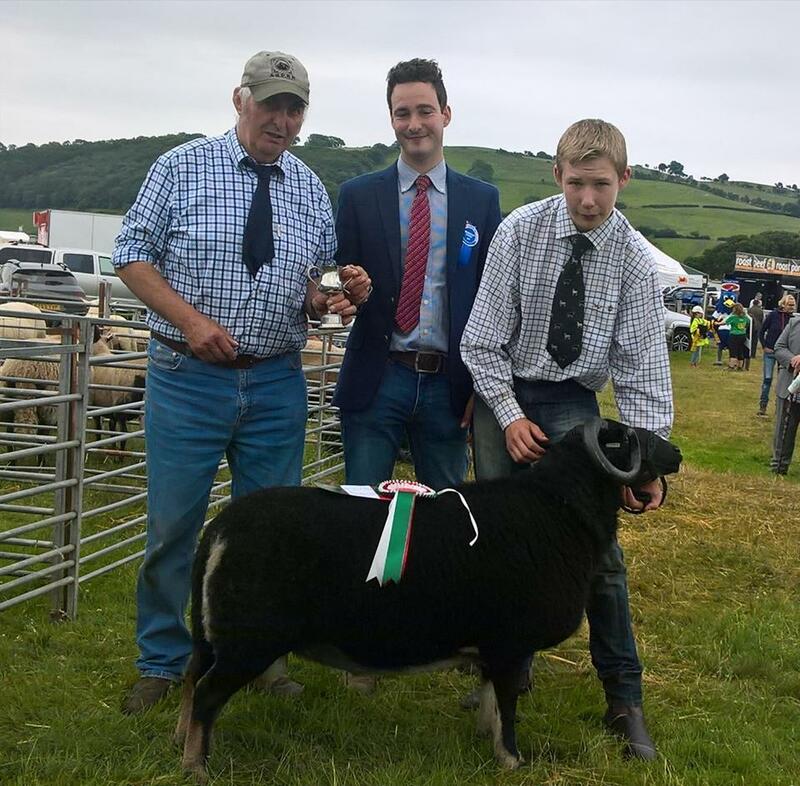 Champion, Albert Jones, Reserve Tomos Jones. 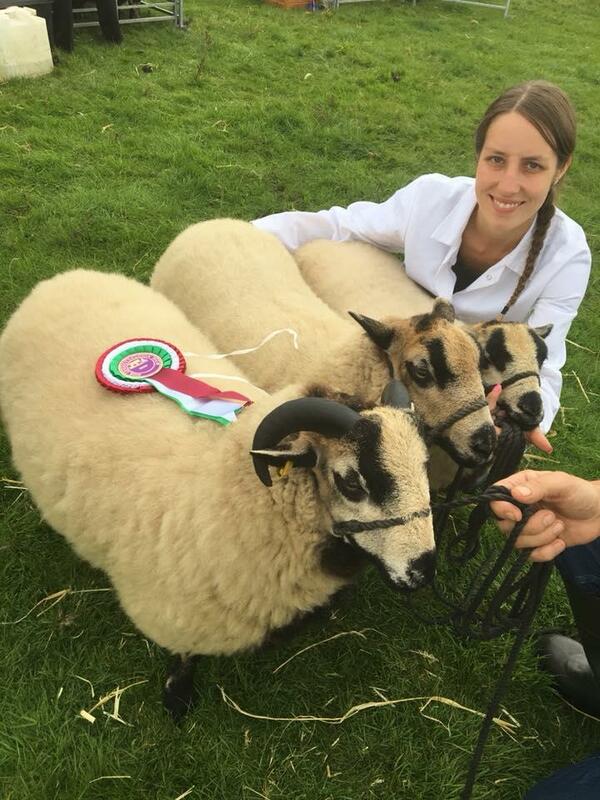 Group Rebecca Lloyd. 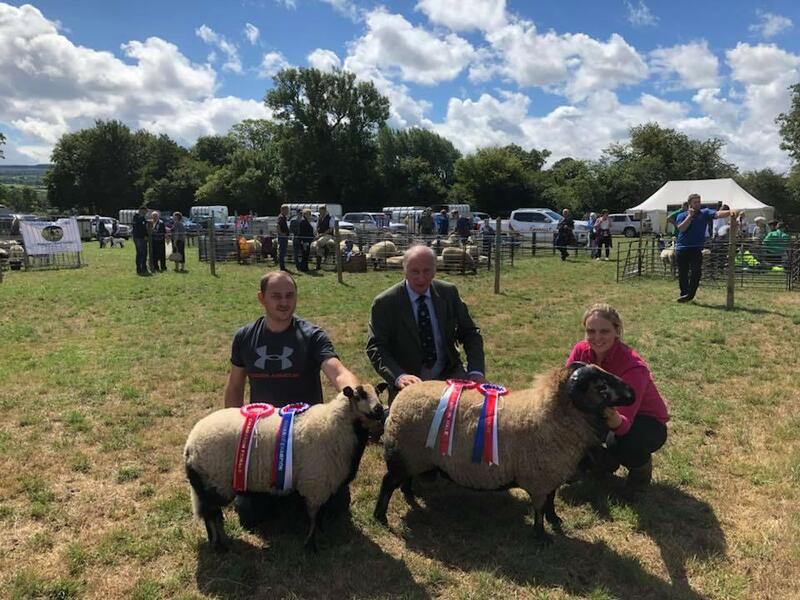 Llandysul show judged by Mr.Glyn Hughes. 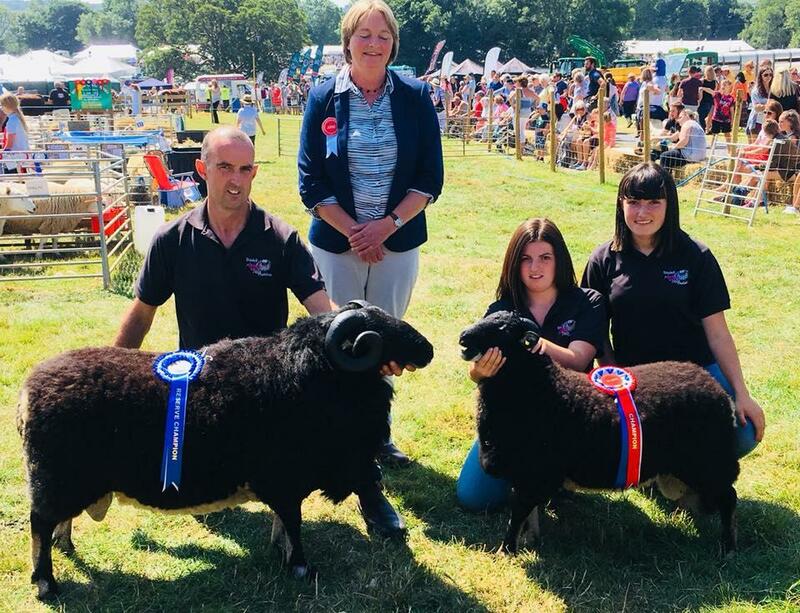 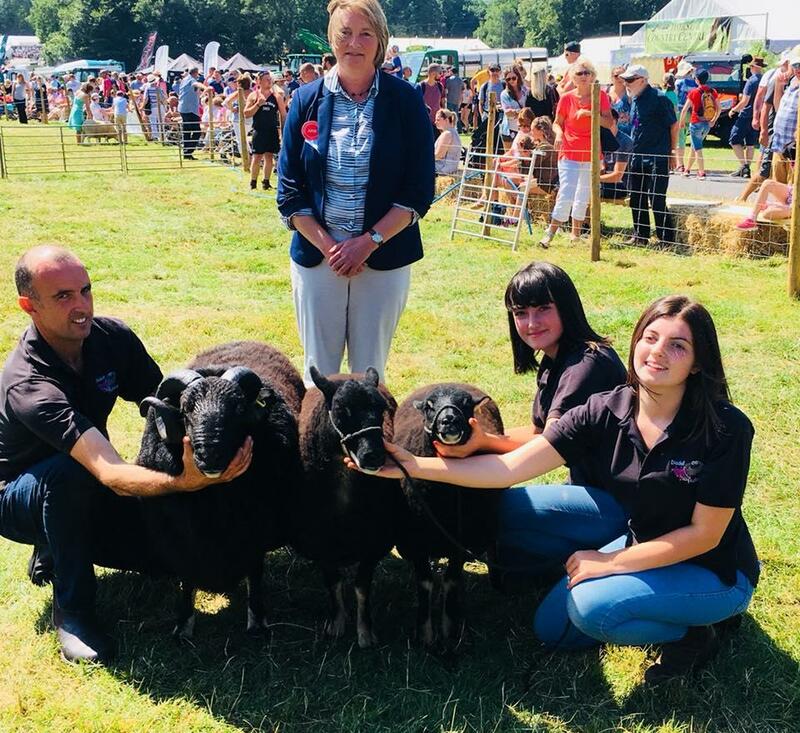 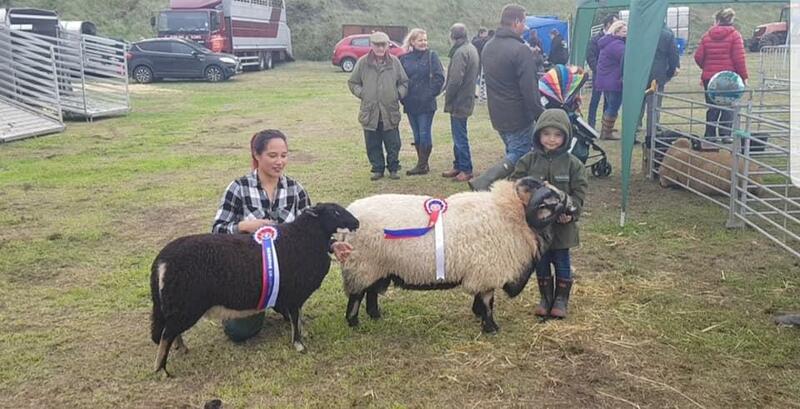 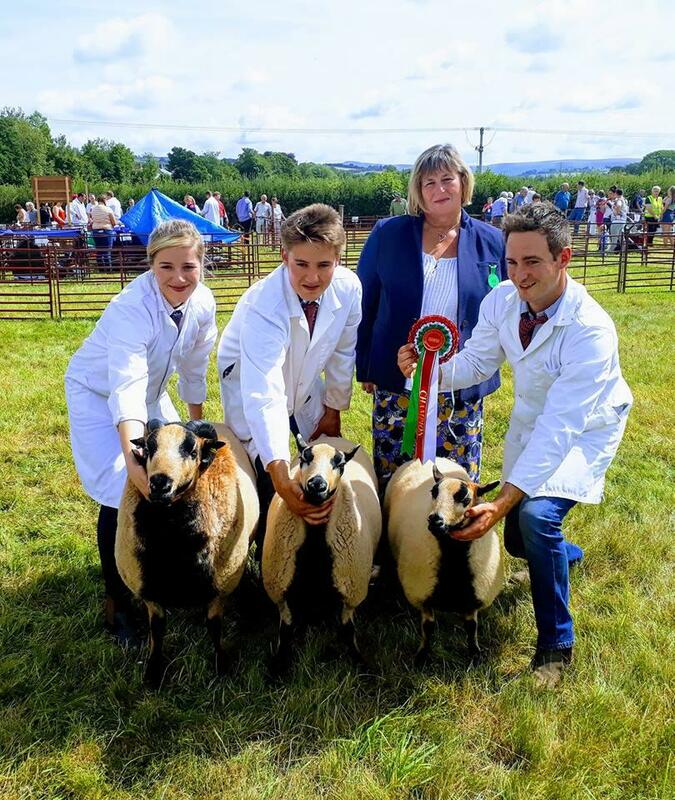 Champion Torddu Malcolm and Michelle Evans with a 2 year old ram and Champion Torwen Sara and Cerys Brown with ewe lamb. 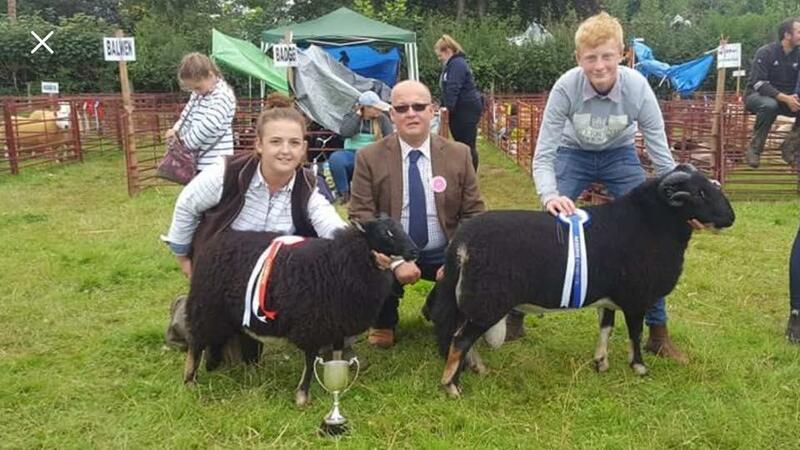 Sion Evans winning junior young handlers and Cerys Brown senior handler. 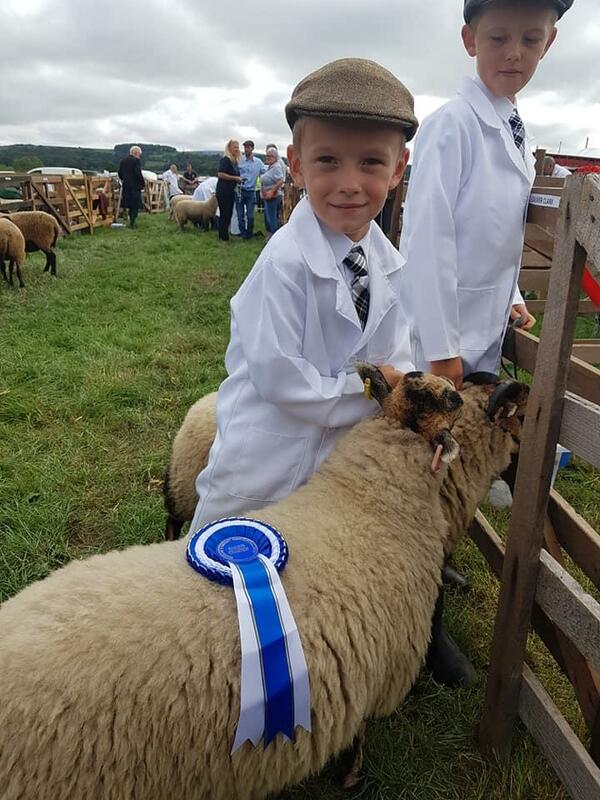 Sennybridge show. 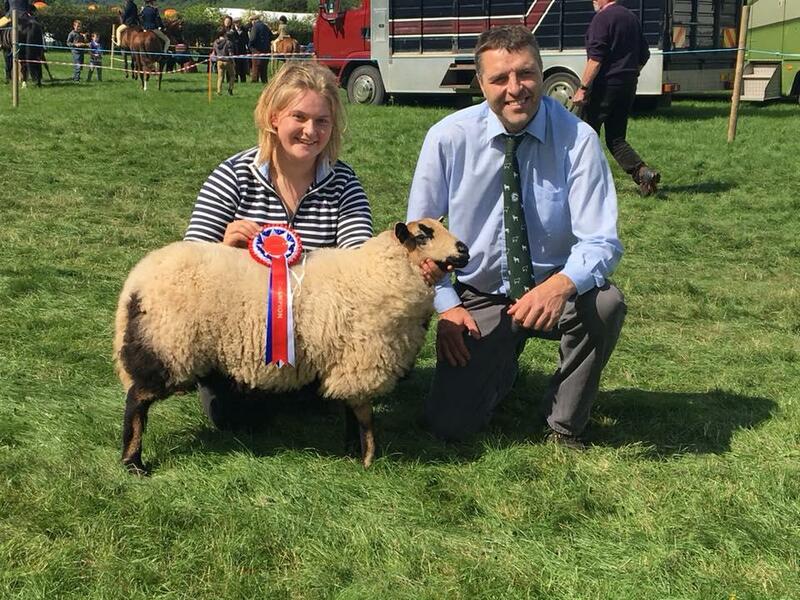 Champion Kate Hovers Torwen ewe, reserve Joseph family Torddu ram. 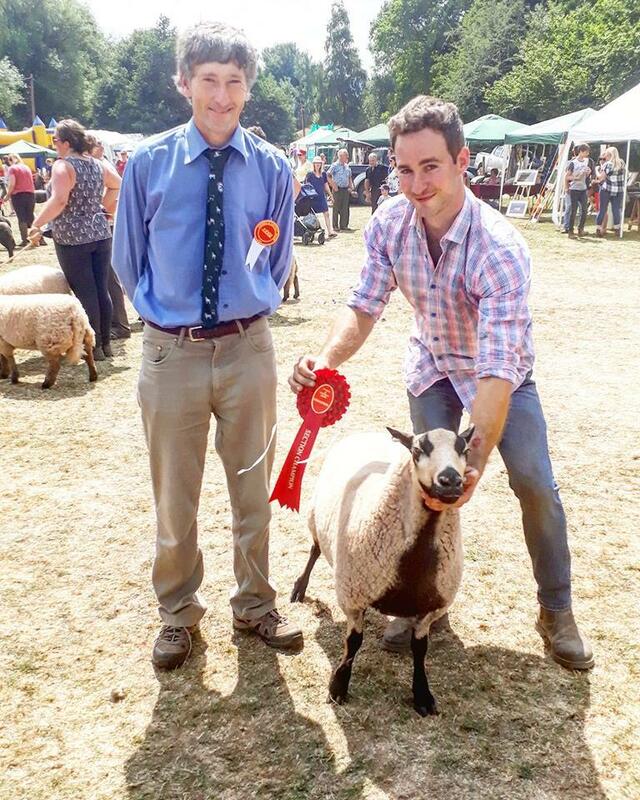 Judge Sean Jeffreys. 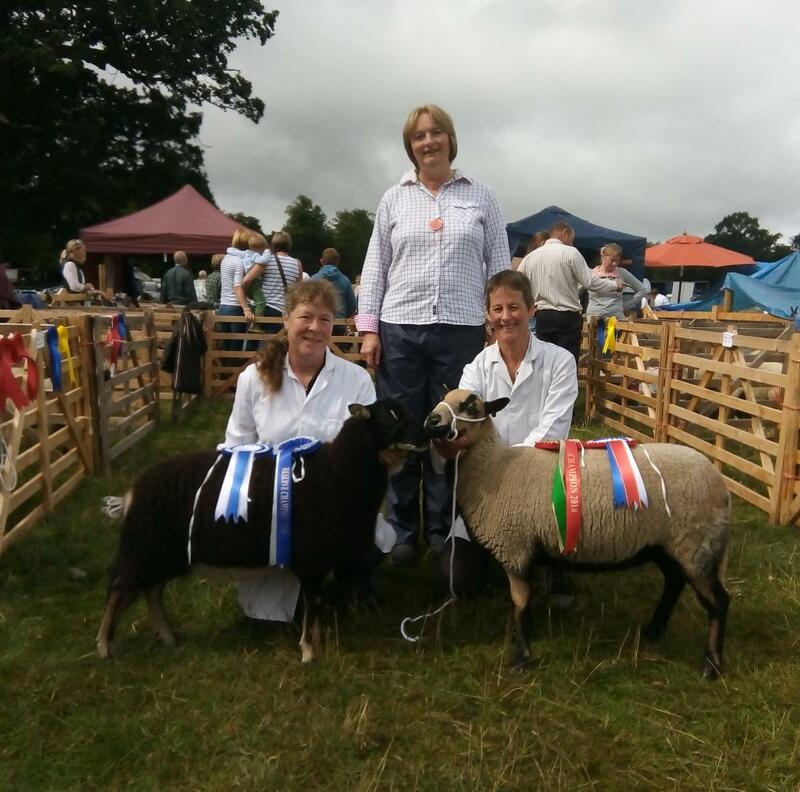 Ewe went on to take coloured breeds section championship. 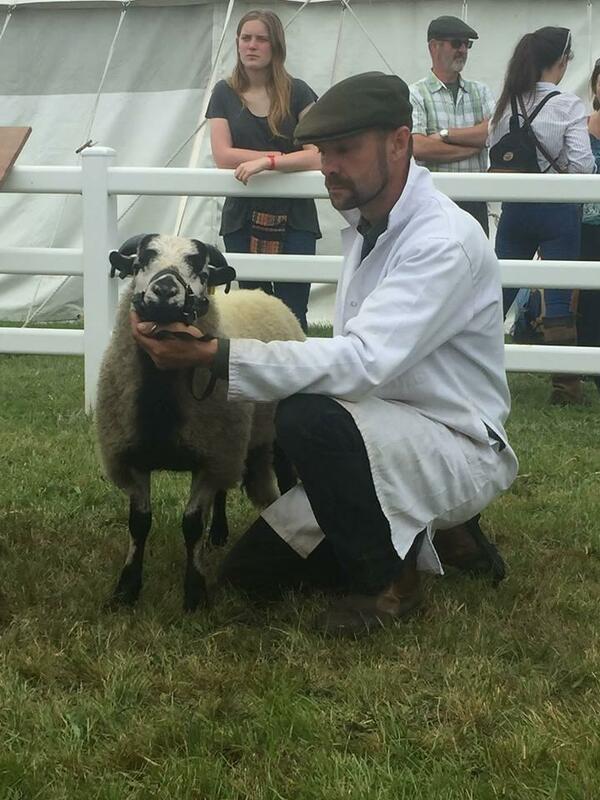 Judge Geraint Jones. 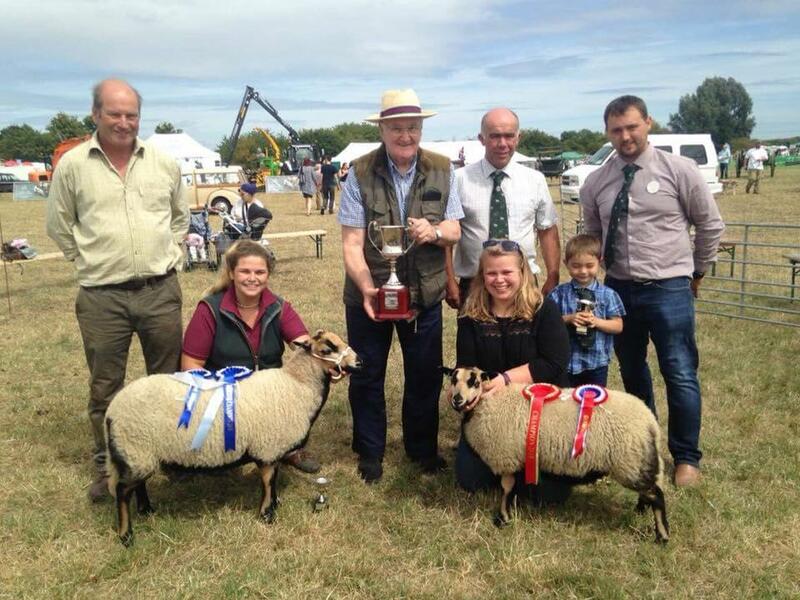 Which also went on to win Overall supreme champion of the sheep judged by Tim Ward . .
Felin Fach show. 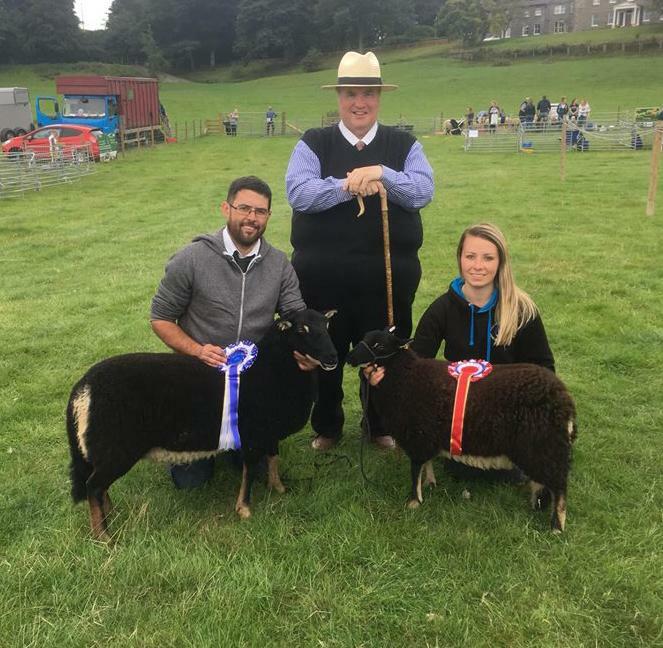 Judge-Neil Dillon. 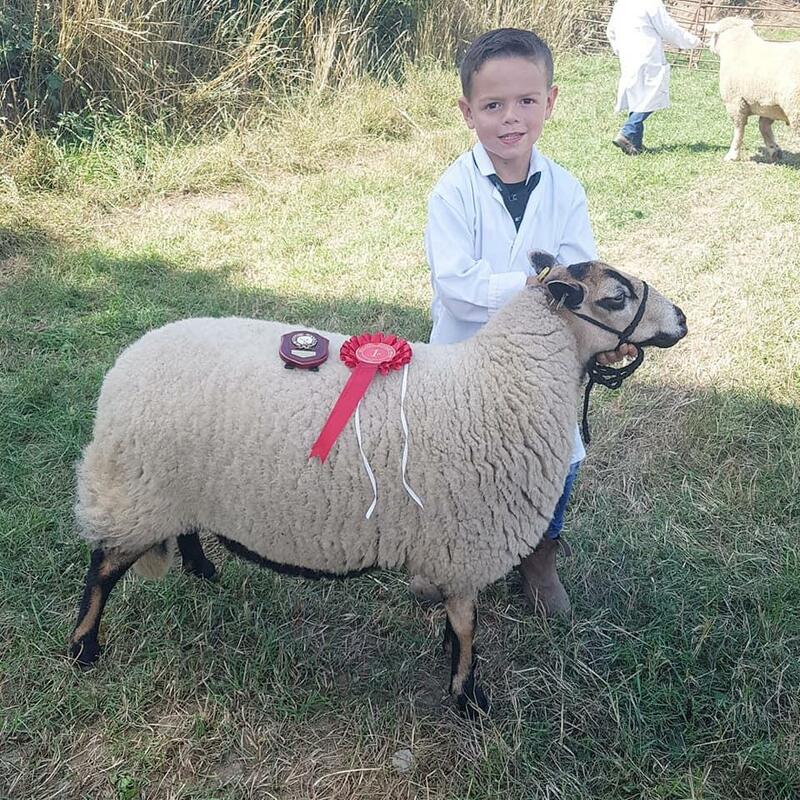 Champion-Lewis Rea with ewe lamb. 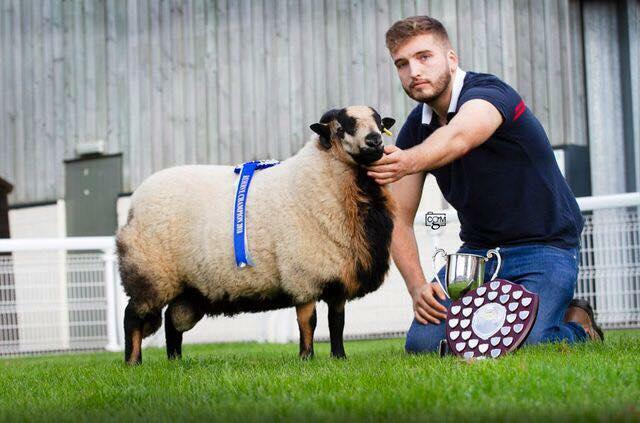 Reserve champion-Lewis Rea with yearling tup. 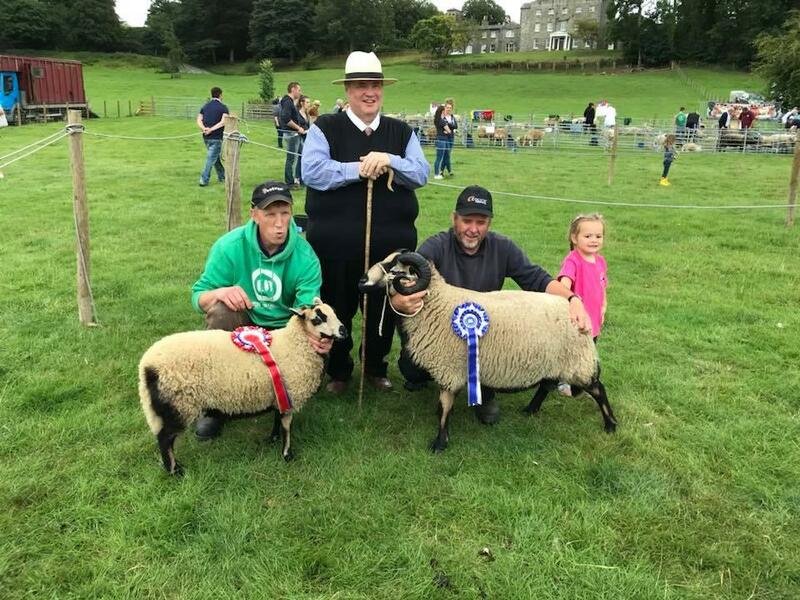 Bedwelty show. 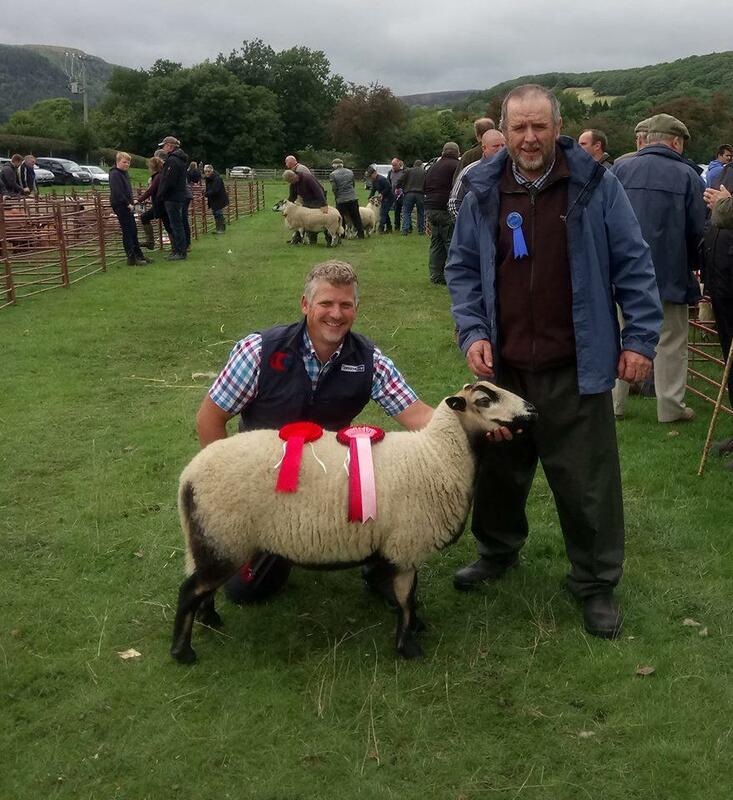 Champion John Griffiths with an aged ram. 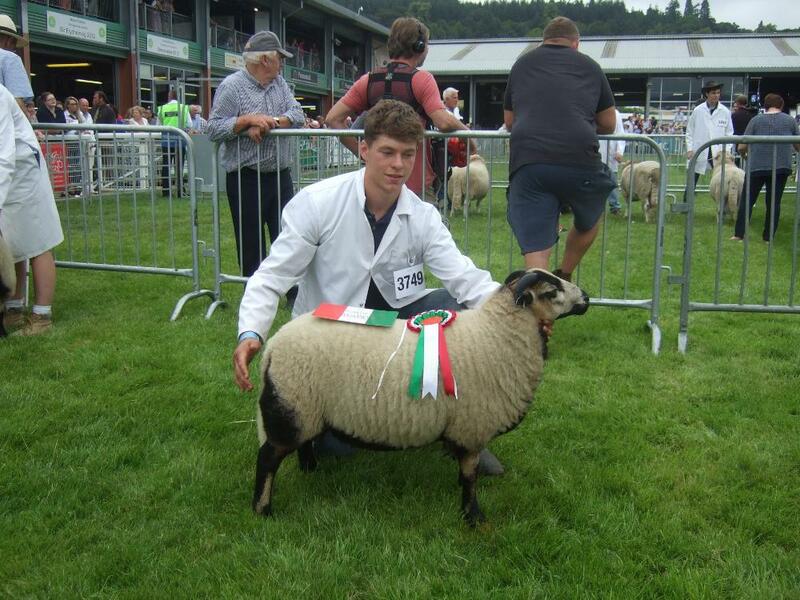 Reserve champion Matthew Bevan with a yearling ewe. 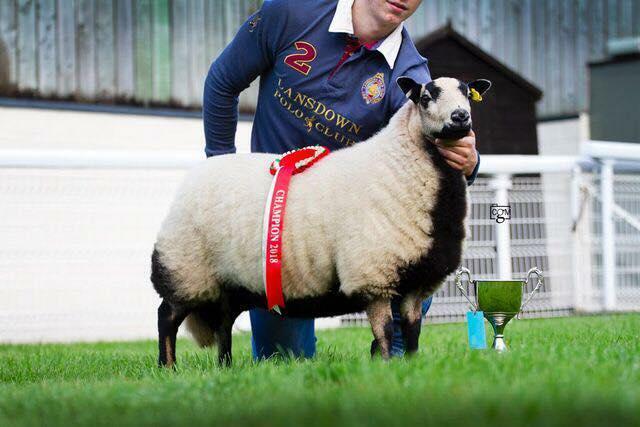 Judge Mr Bowden. 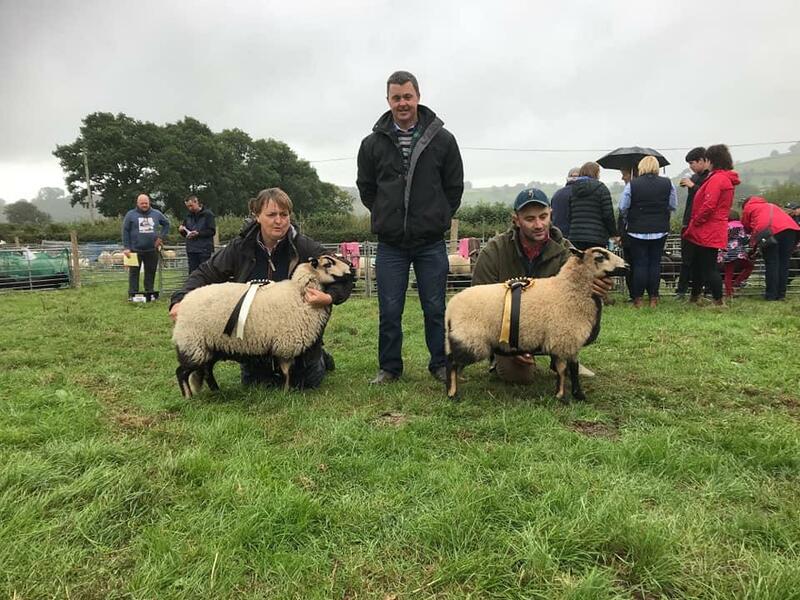 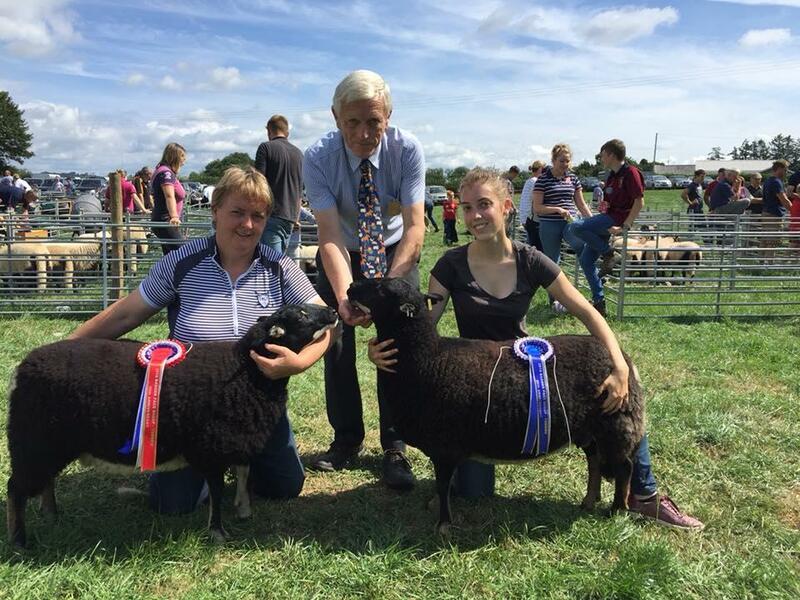 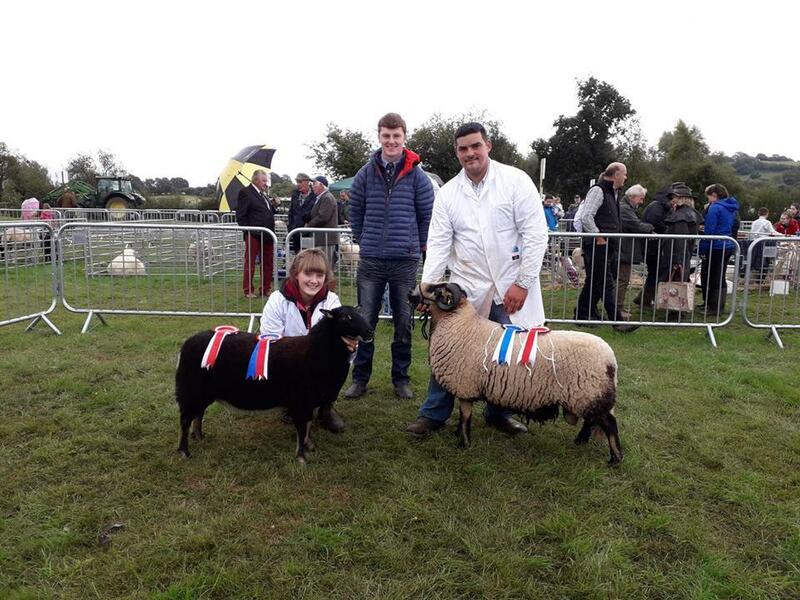 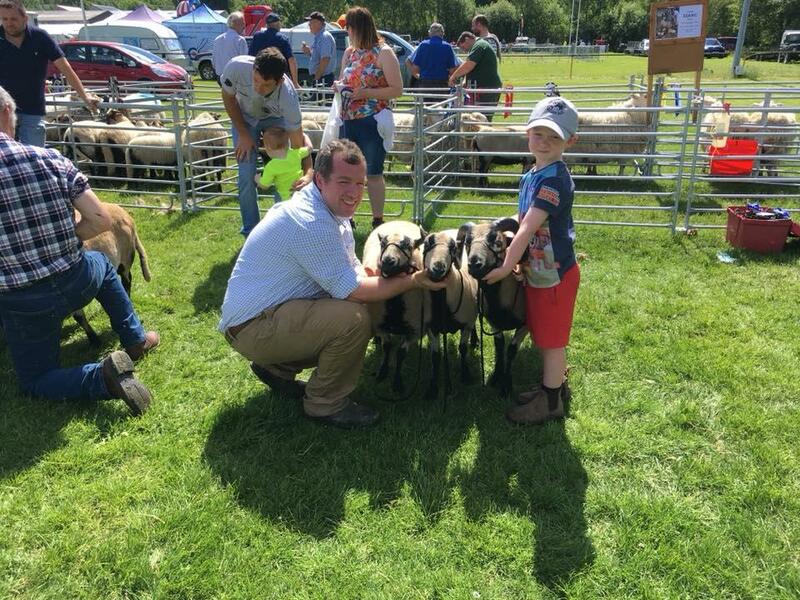 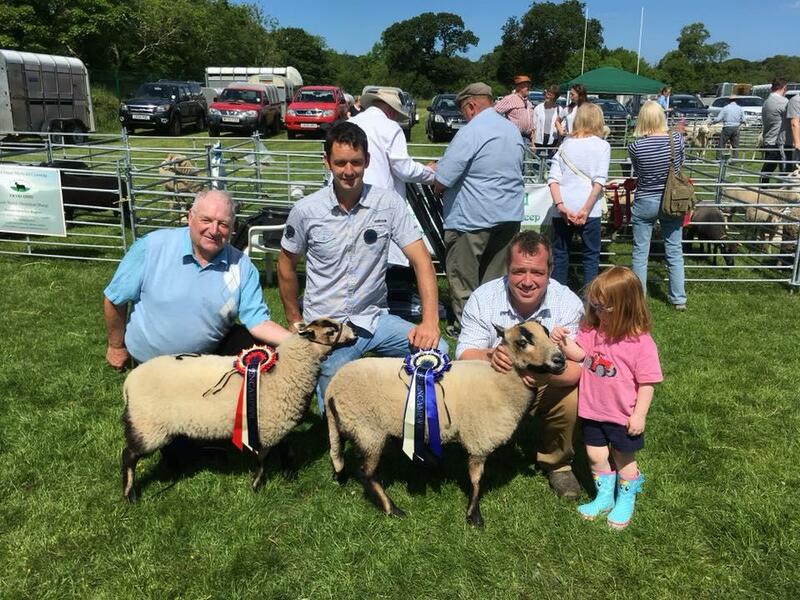 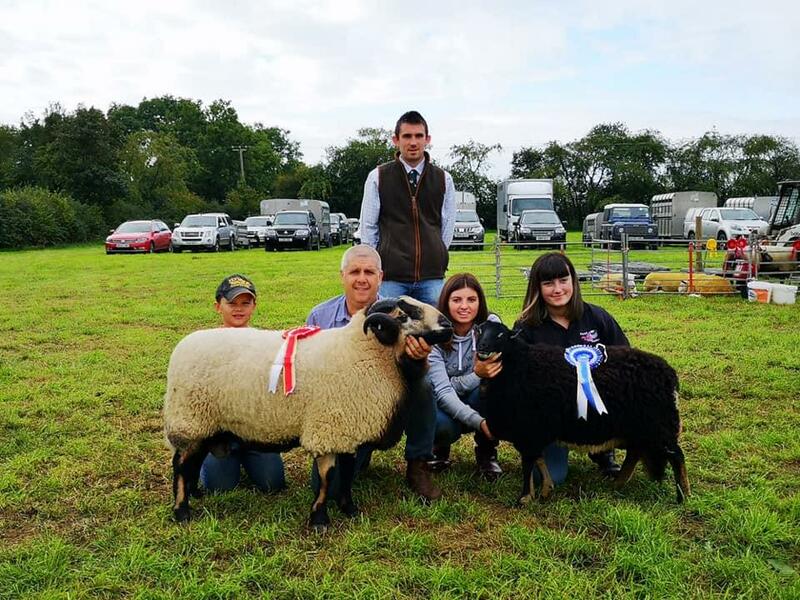 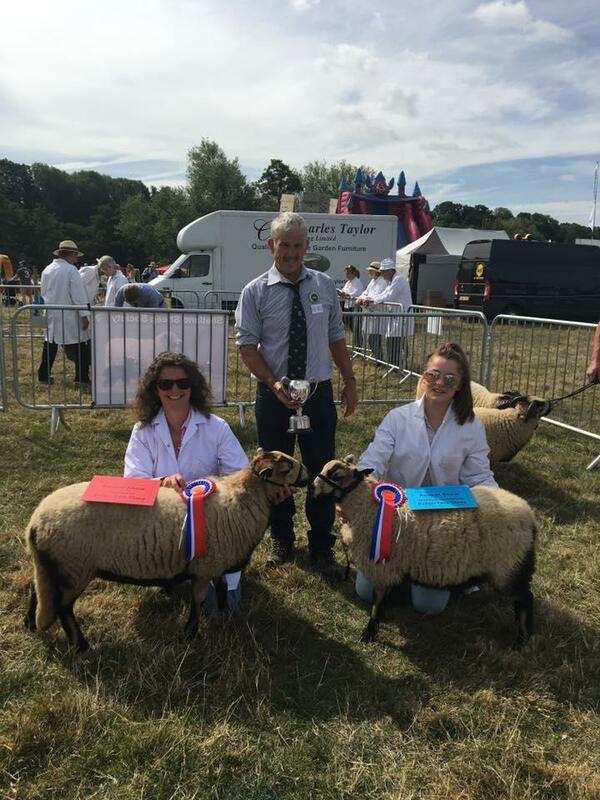 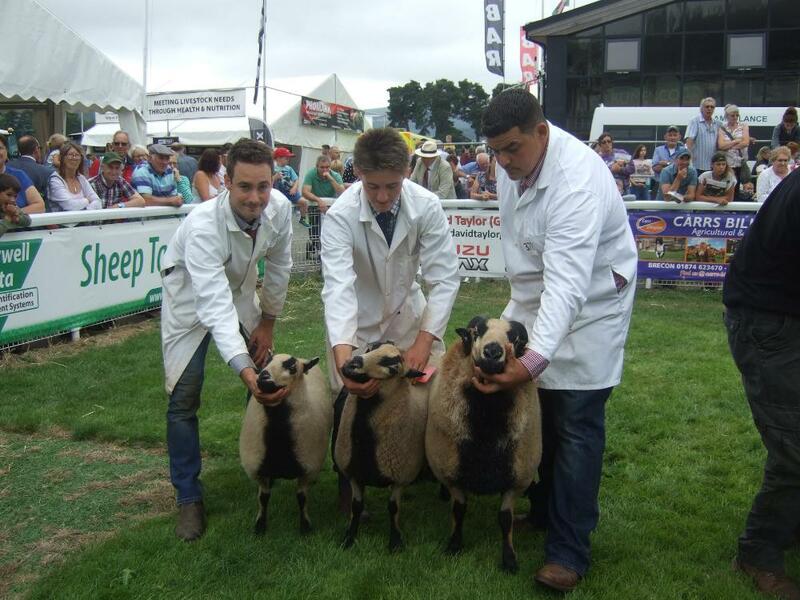 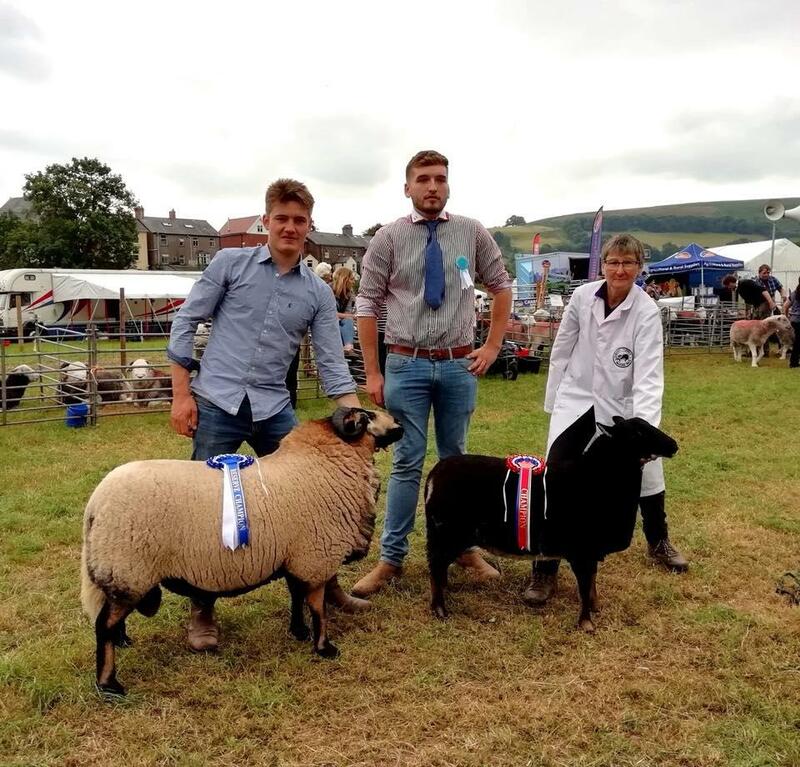 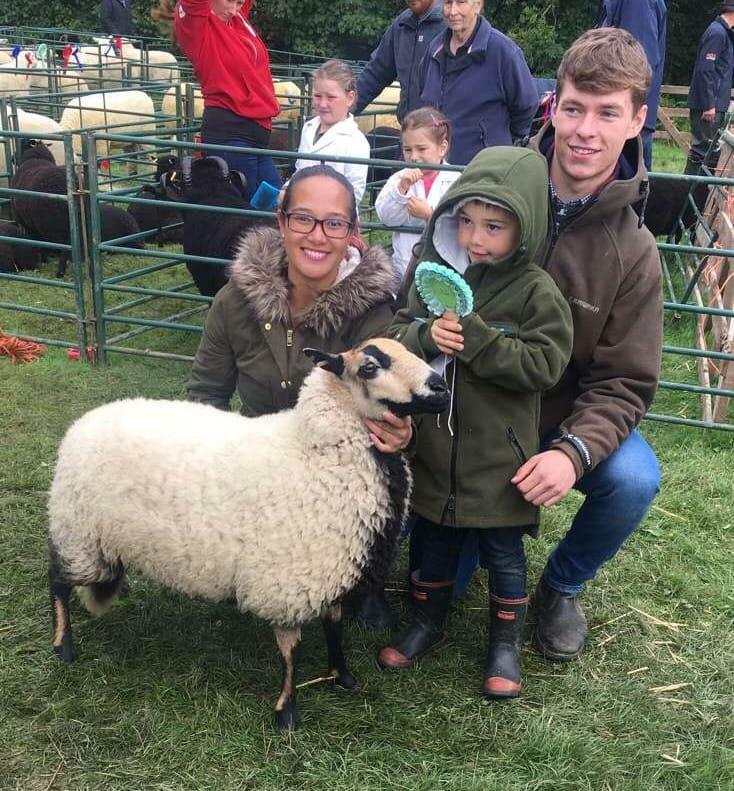 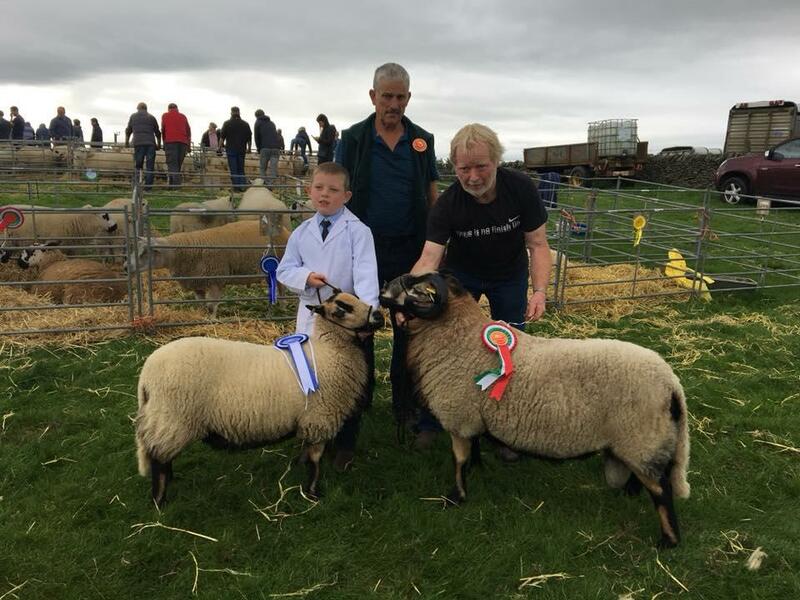 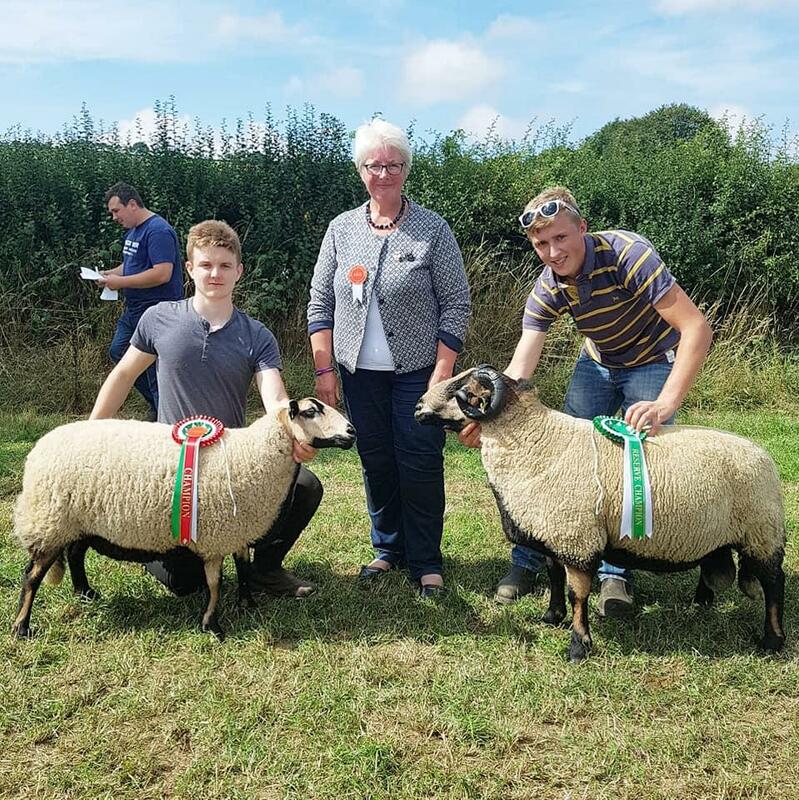 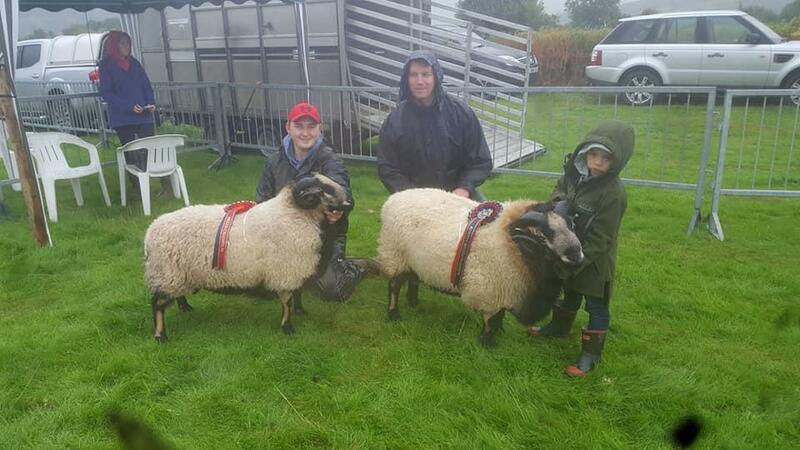 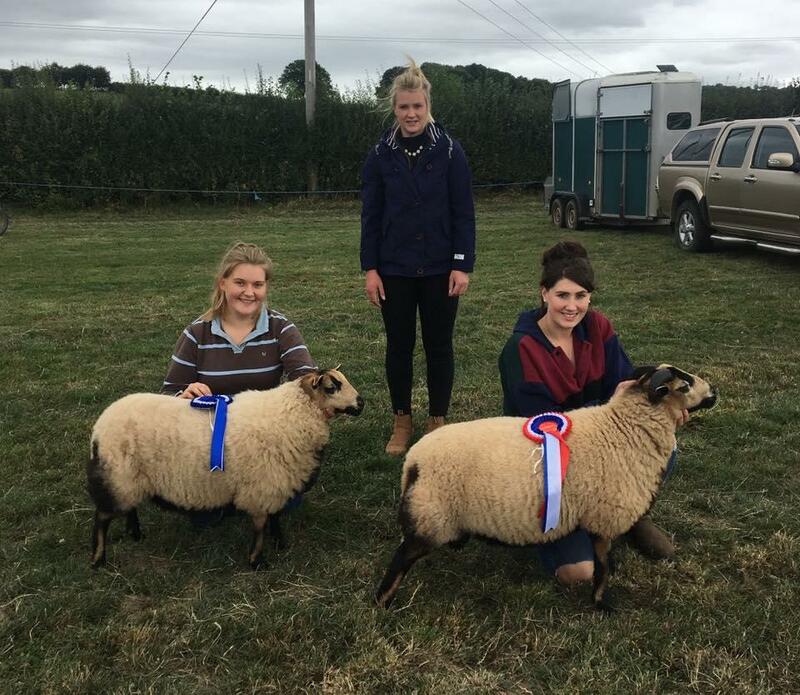 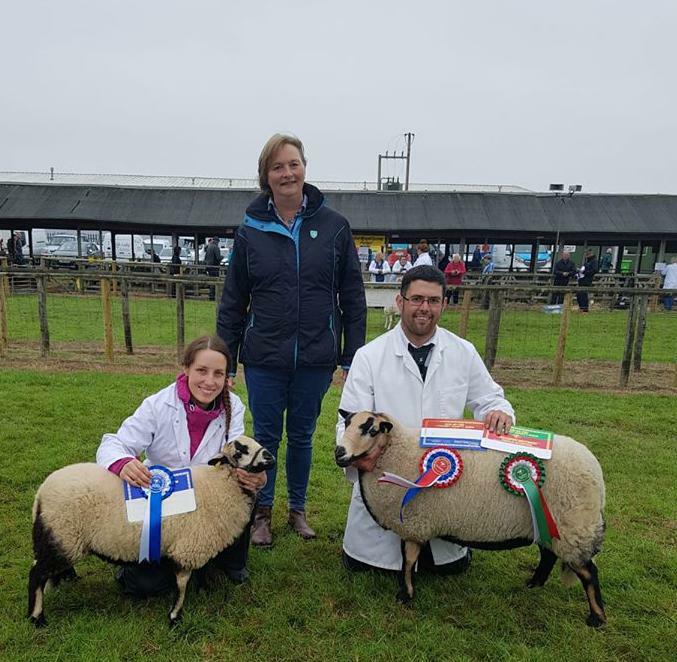 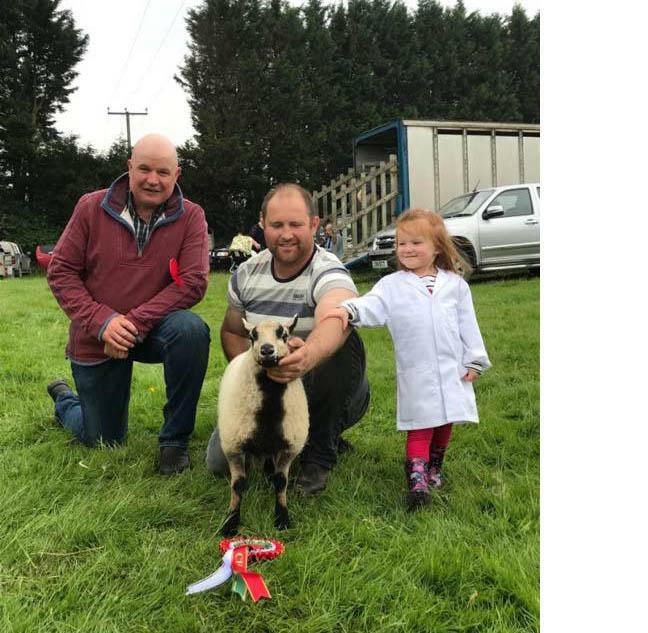 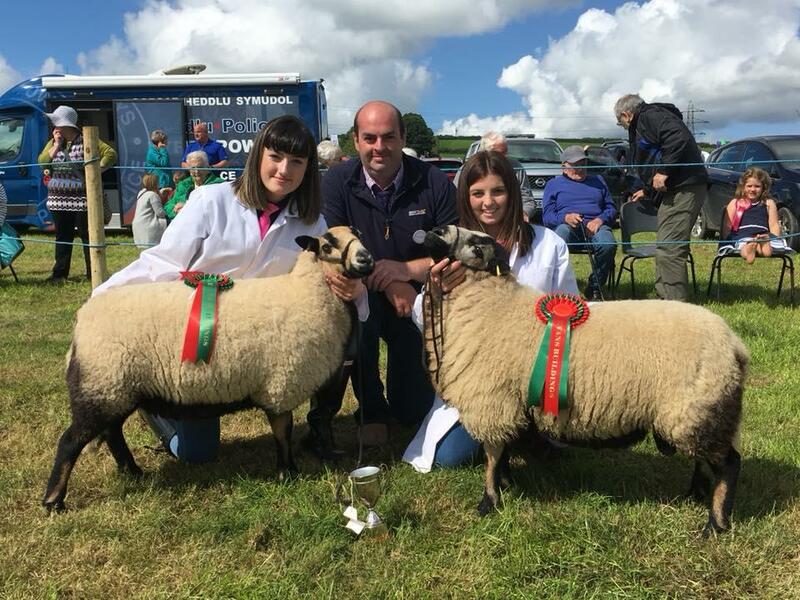 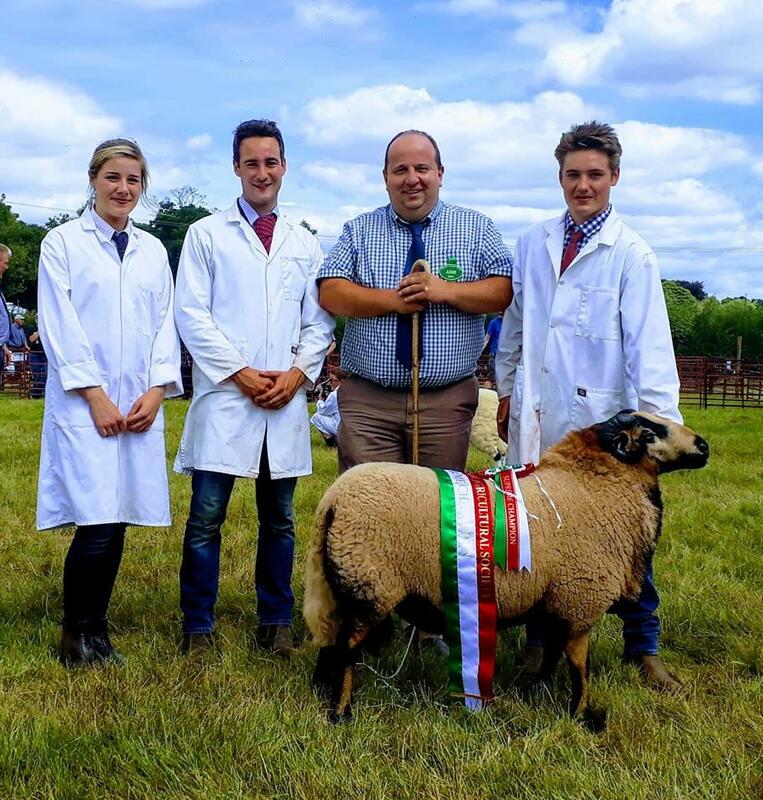 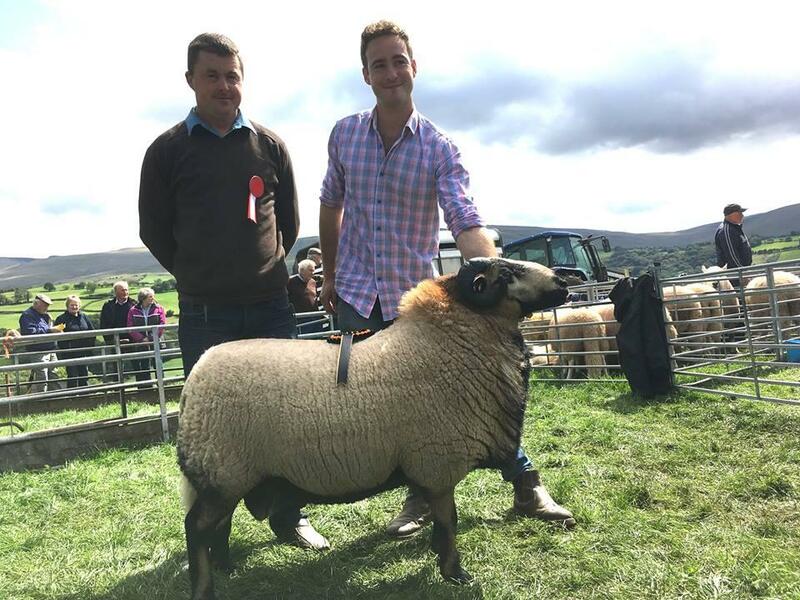 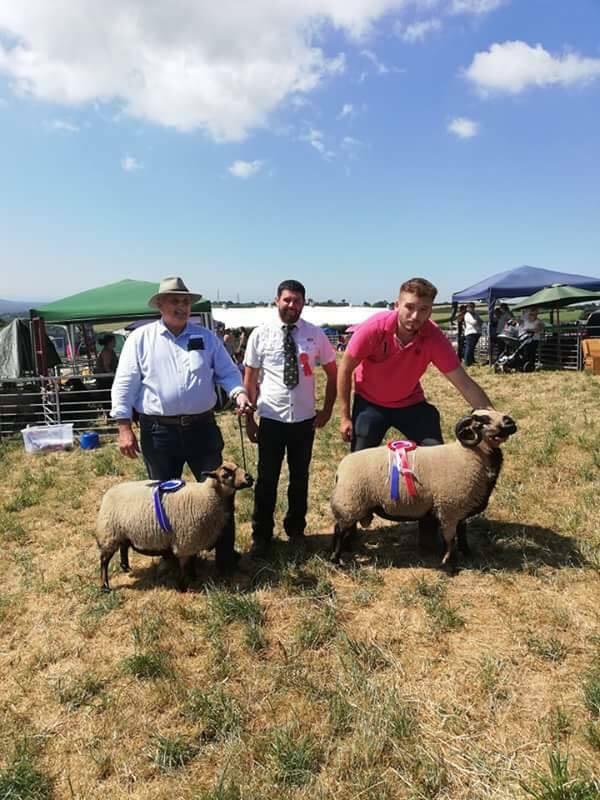 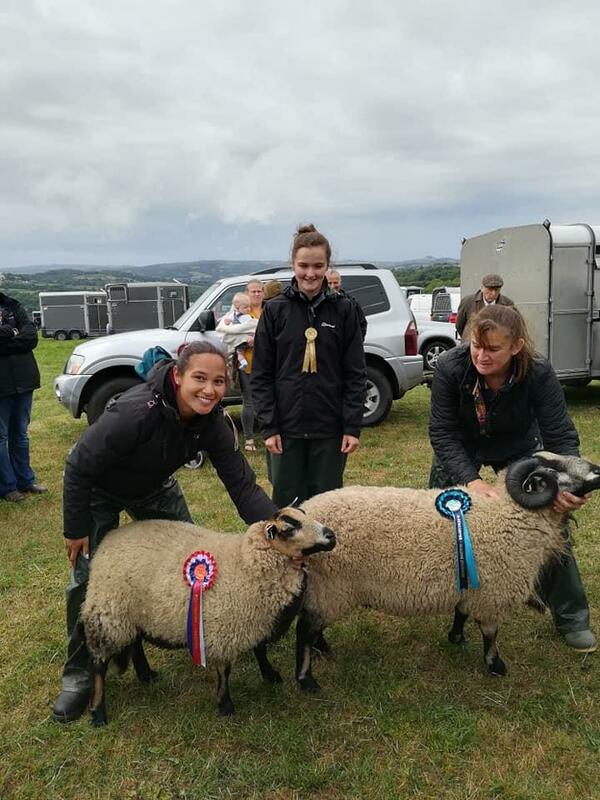 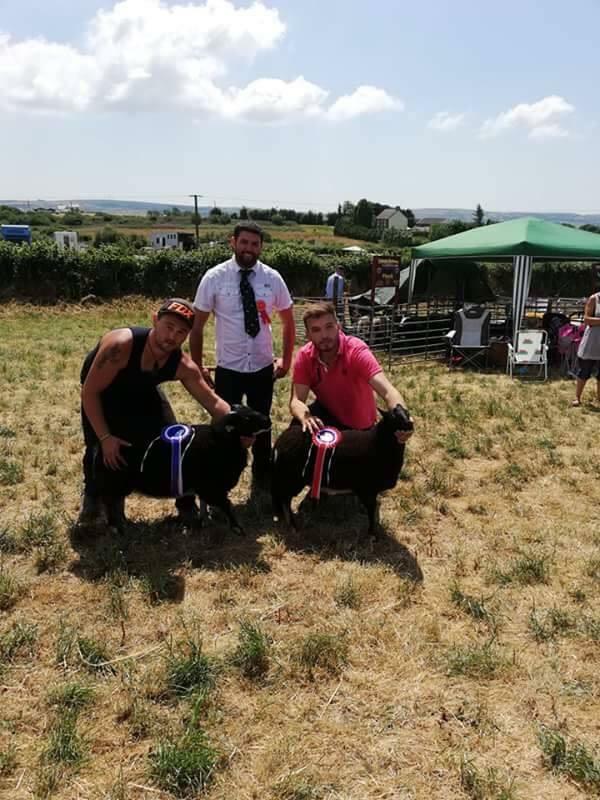 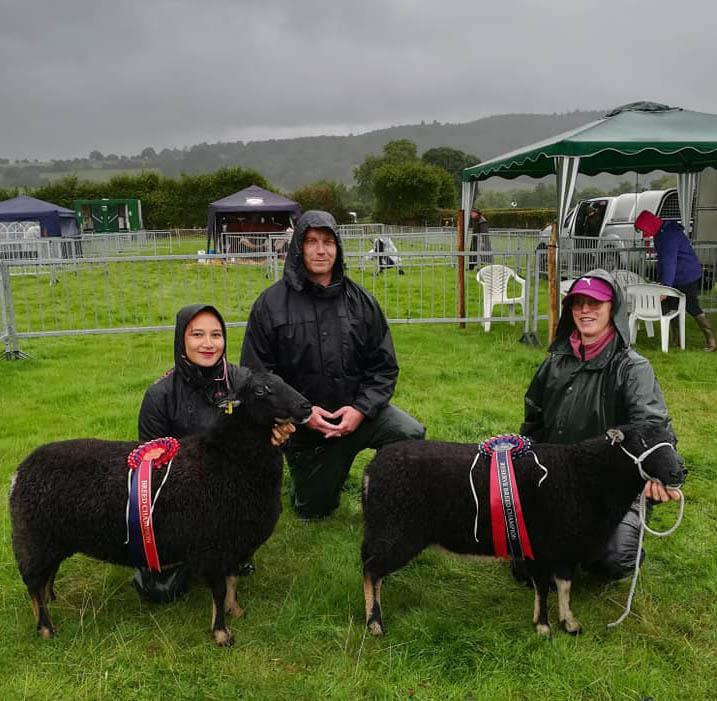 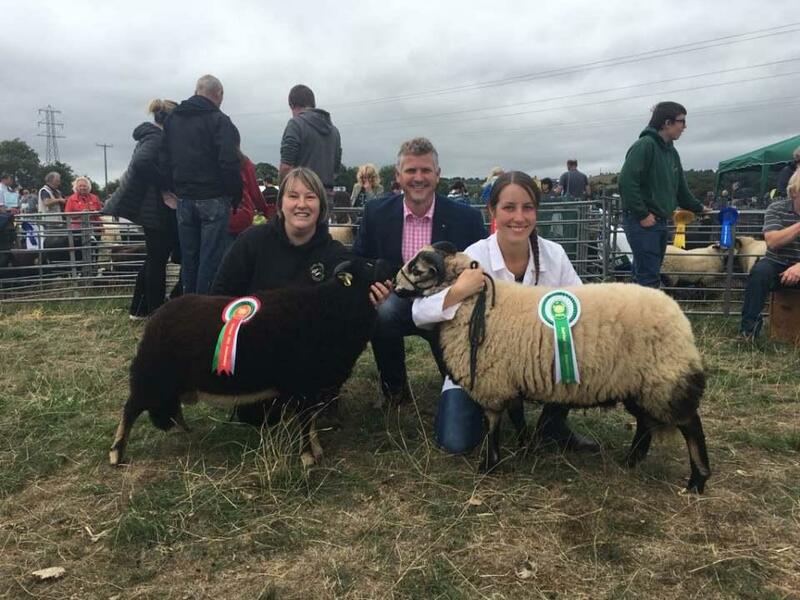 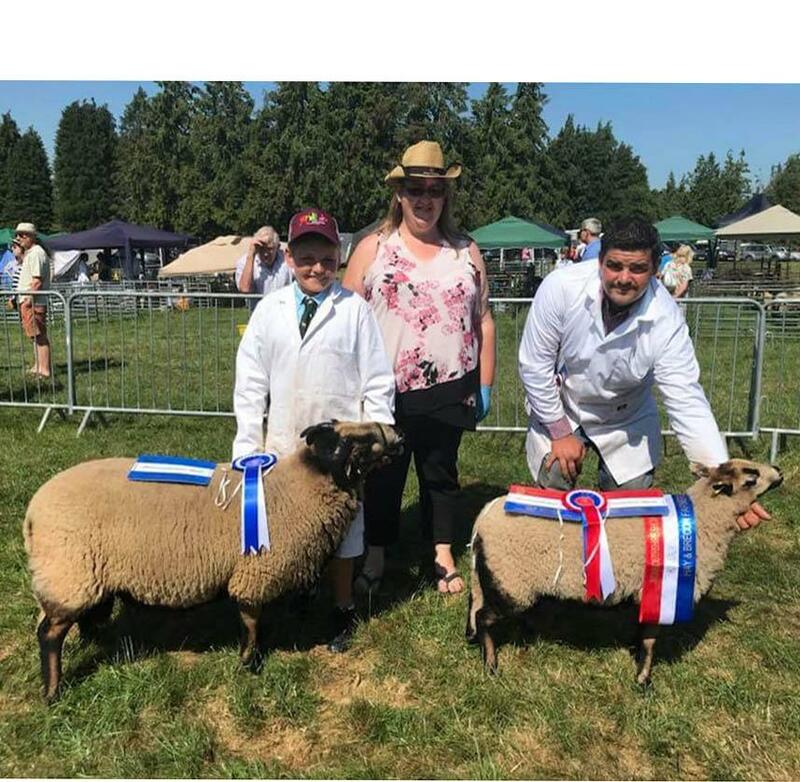 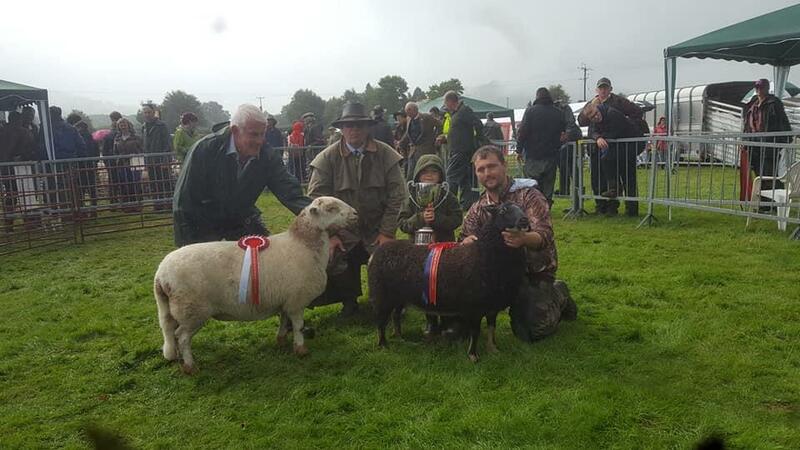 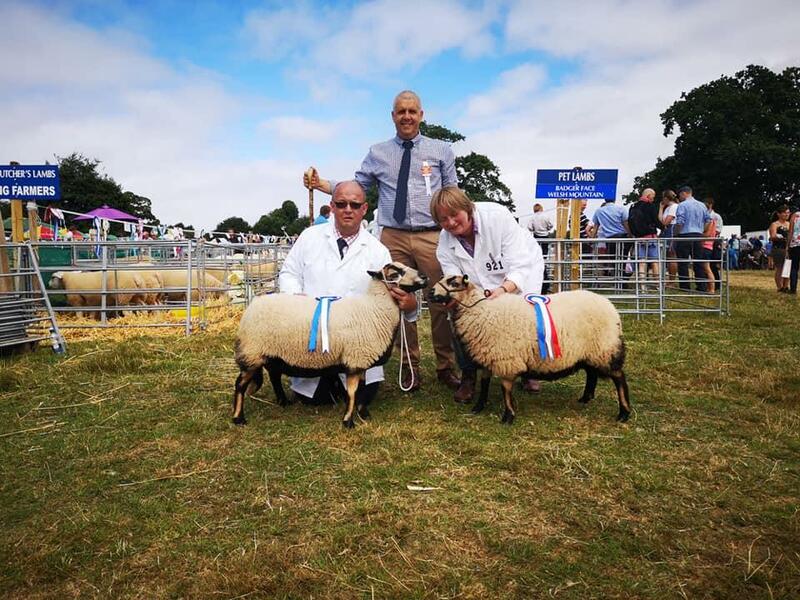 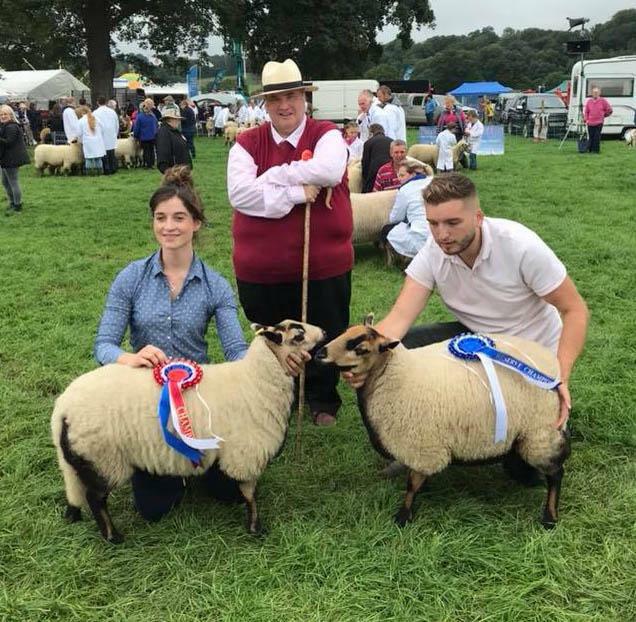 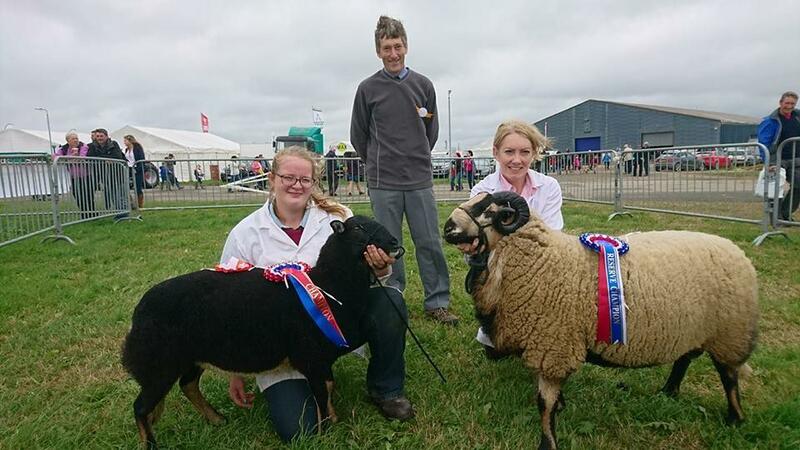 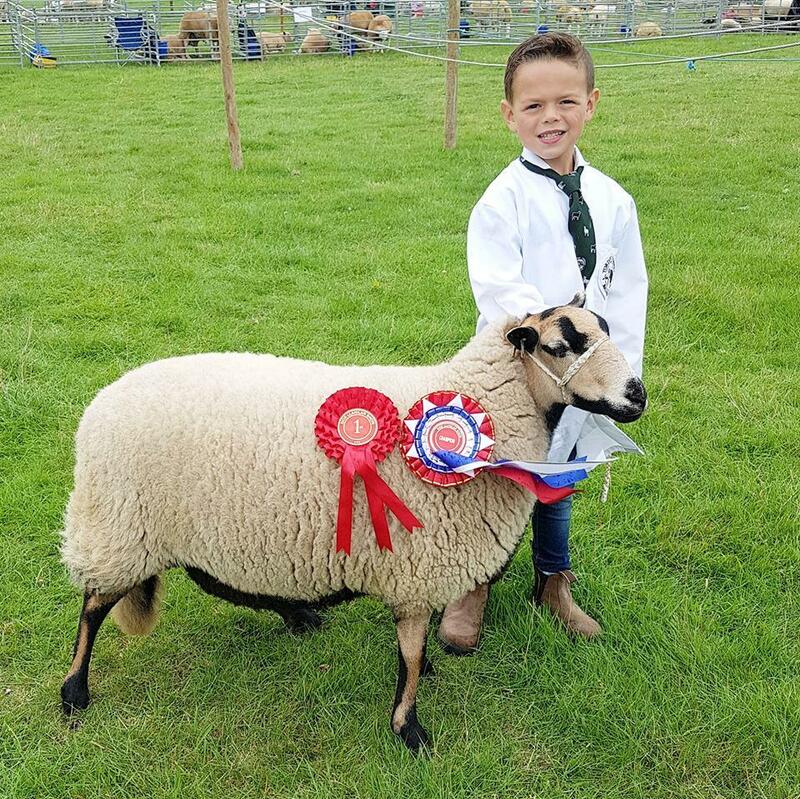 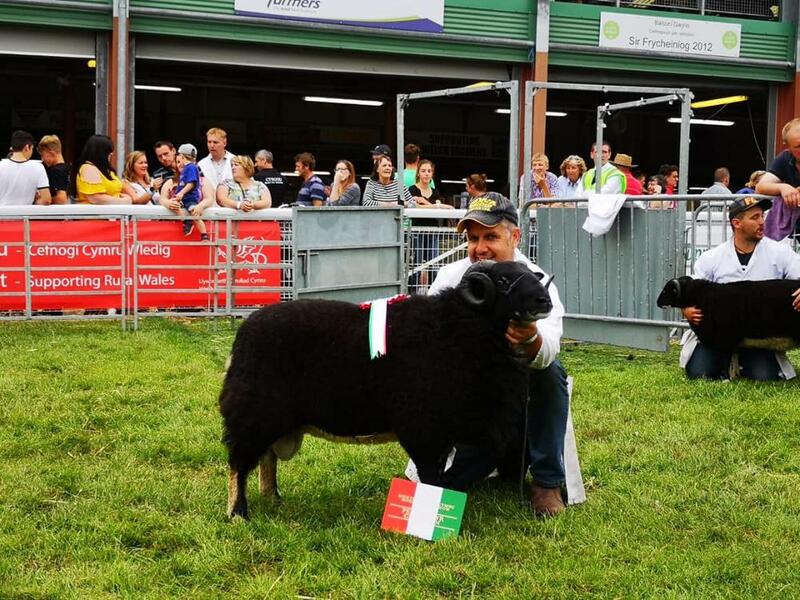 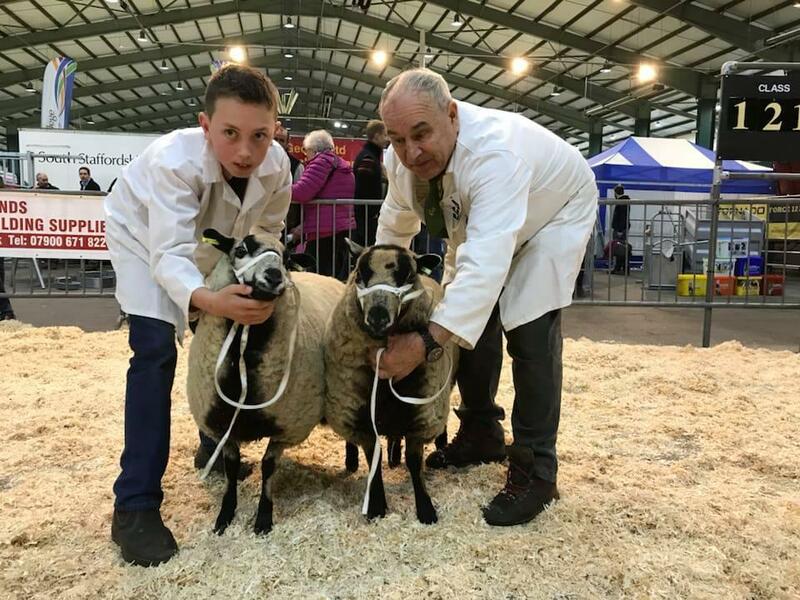 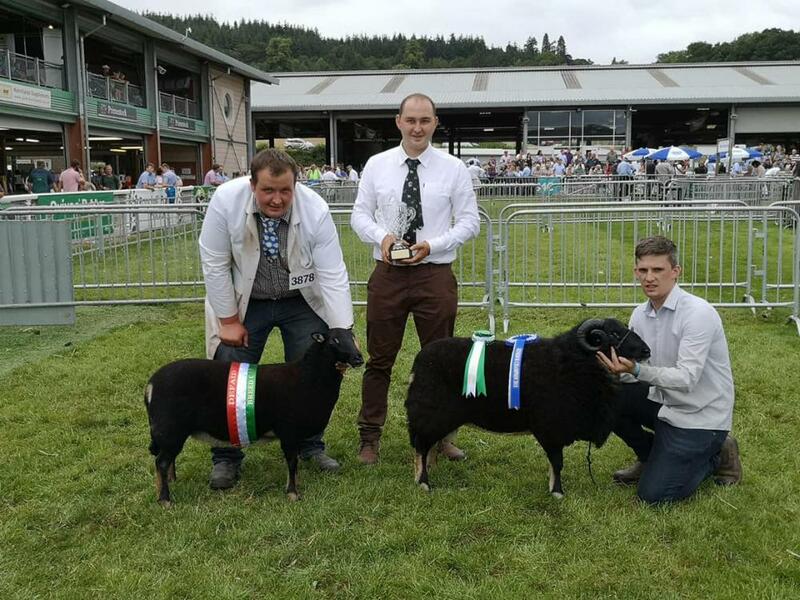 Pembrokeshire County show, champion Rhydian Davies with a Torwen yearling ewe, and Reserve champion J D and D M Crimes with a Torddu yearling ram. 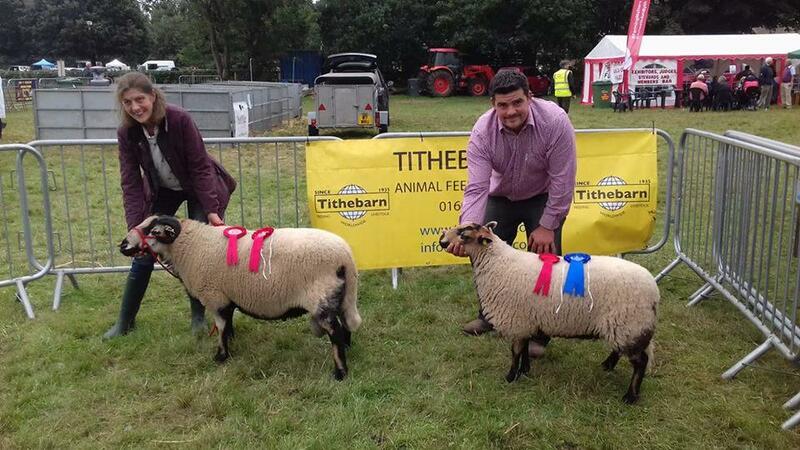 Ripley Show. 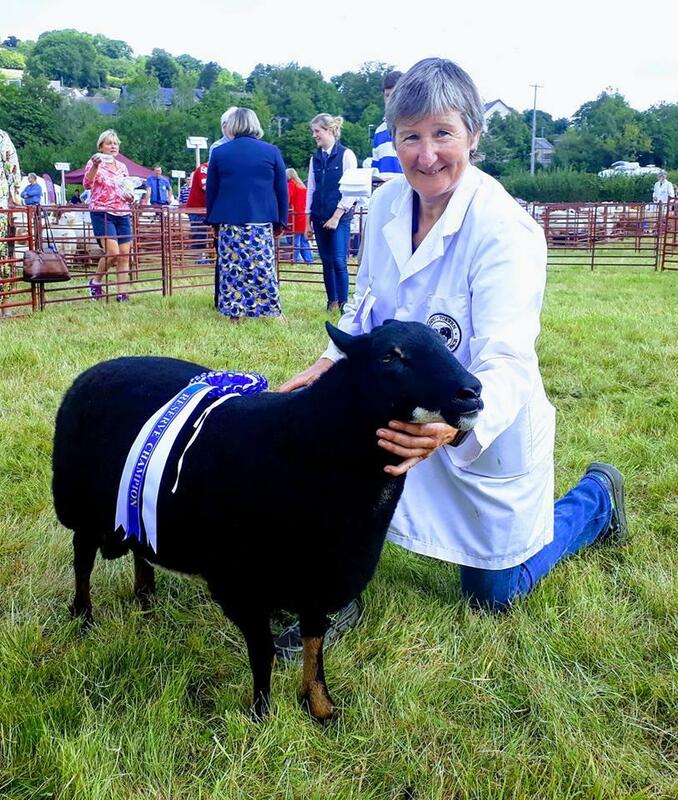 Judge Lucy Levinge. 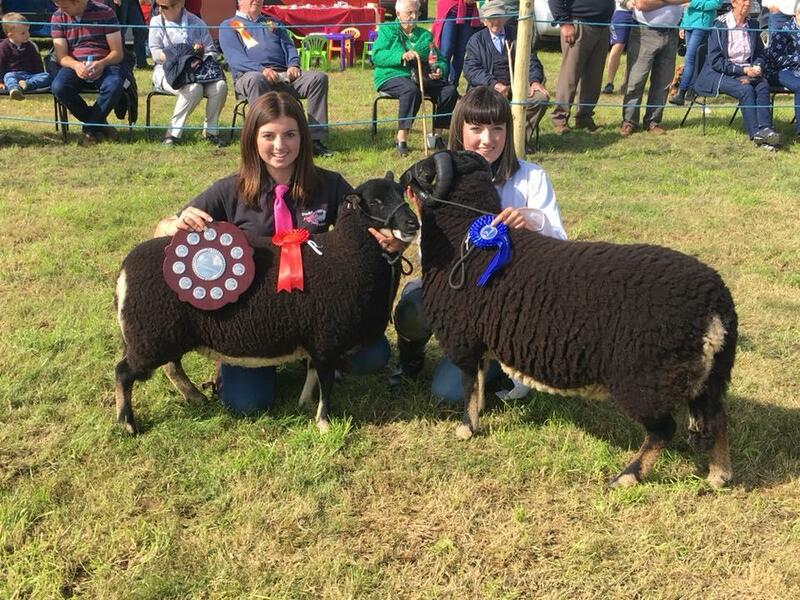 Champion was a shearling ewe from Claire Smith and Shelley Roberson took reserve with a ewe lamb. 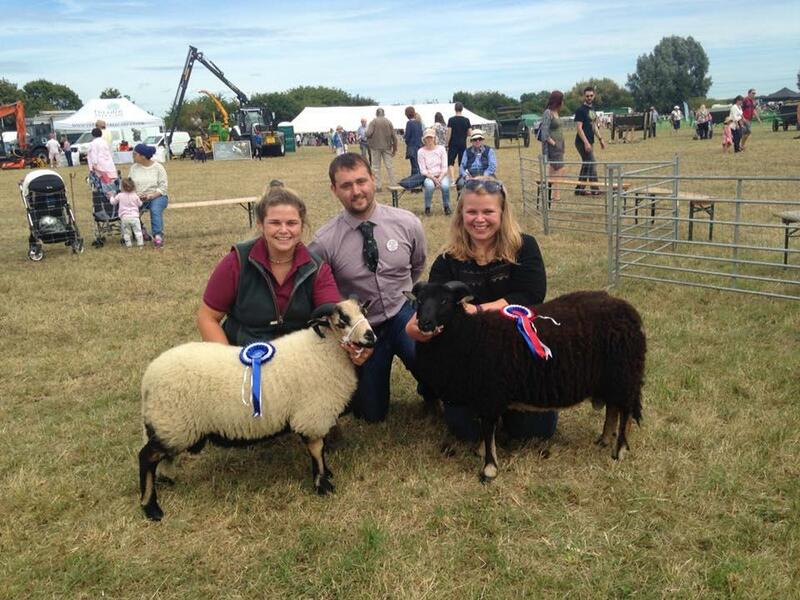 Chertsey Show Badger Face Classes, Champion Shrubsall Family, Reserve Champion David & Chloe Wood. 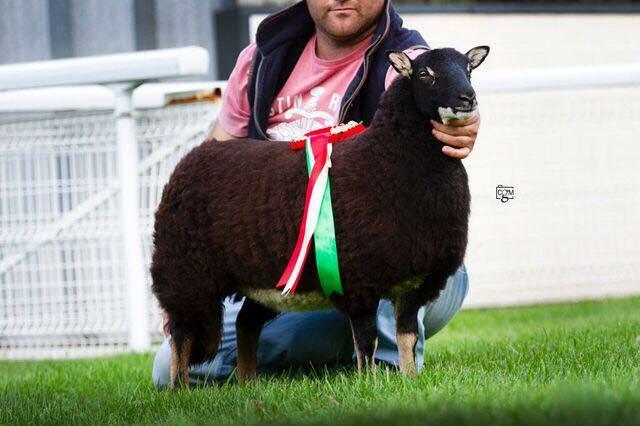 Judge Eirian Jones. 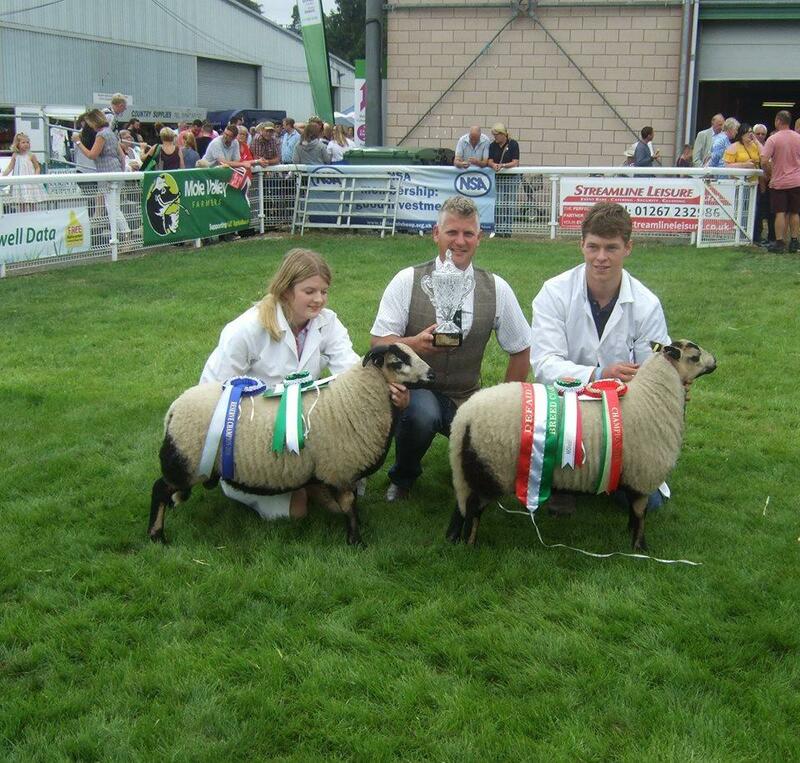 Male & Female Championship Chloe Wood. 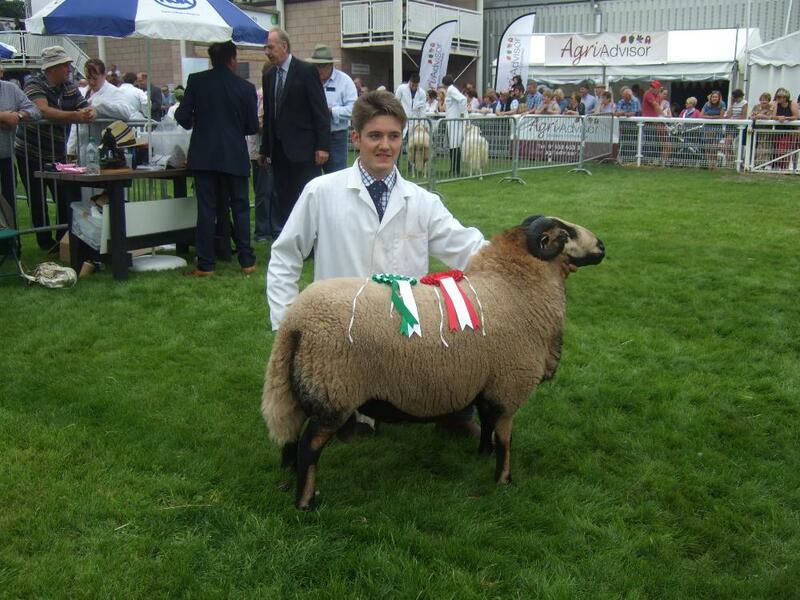 Lampeter Show. 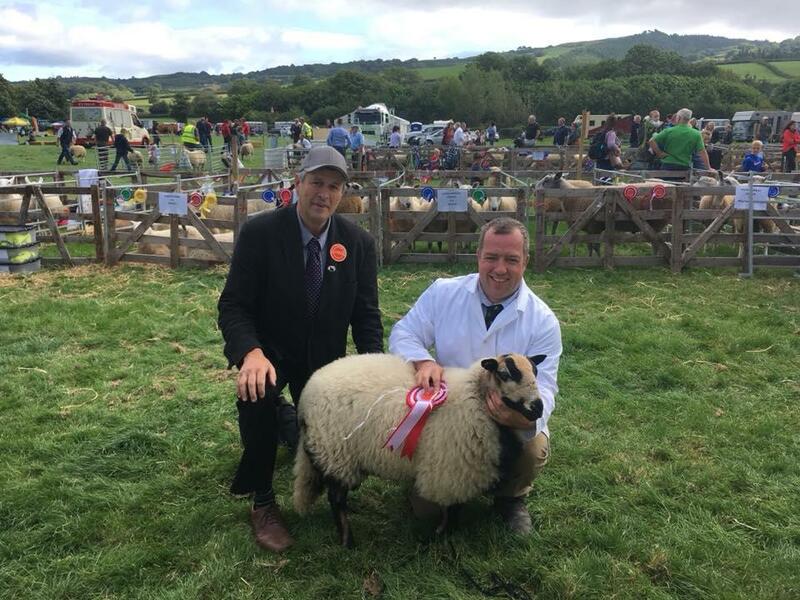 Judge Brian Eagles. 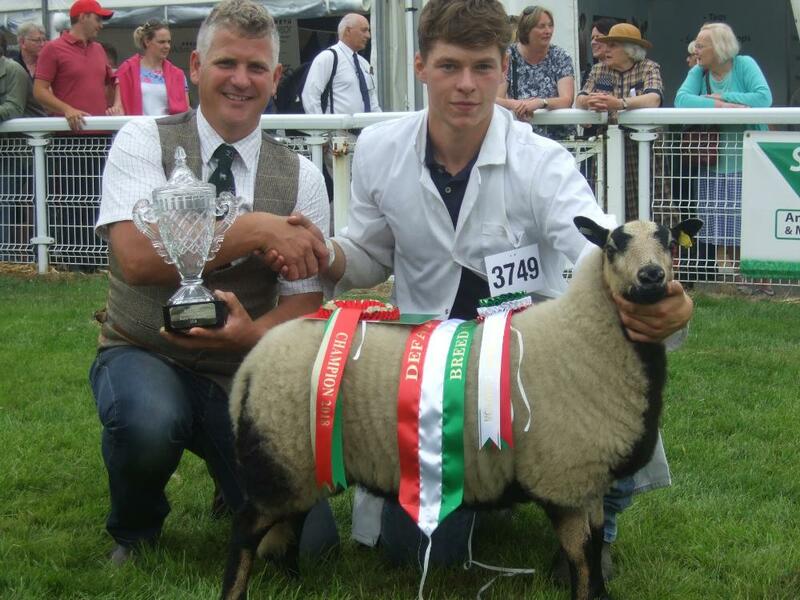 Male and Overall Torwen Champion Rhys Mills. 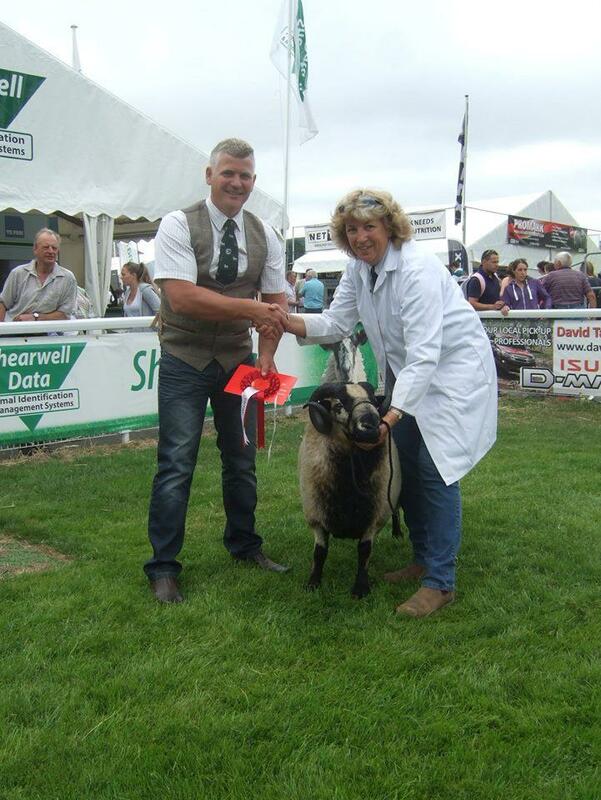 Female and Reserve Torwen Champion Geraint Jones. 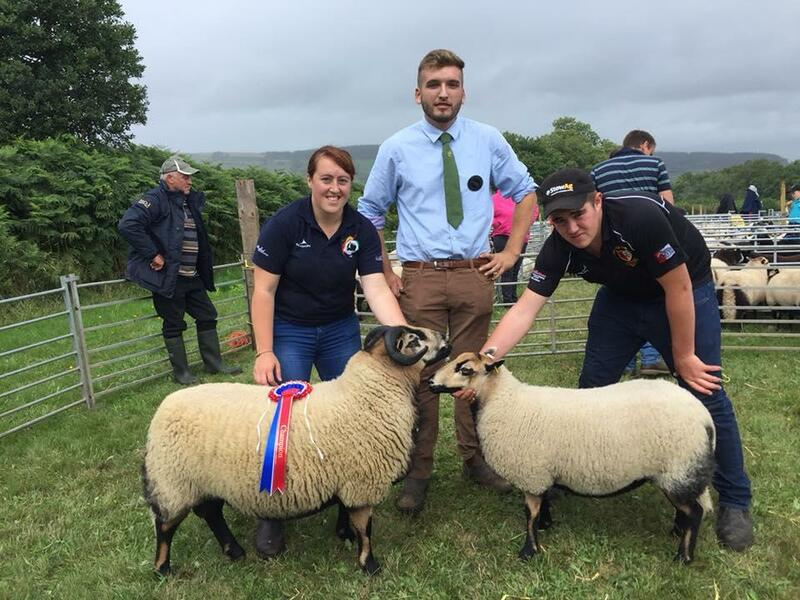 Champion Torddu - Yearling Ram and Reserve Ewe Lamb Huw Williams and Kate Phillips. 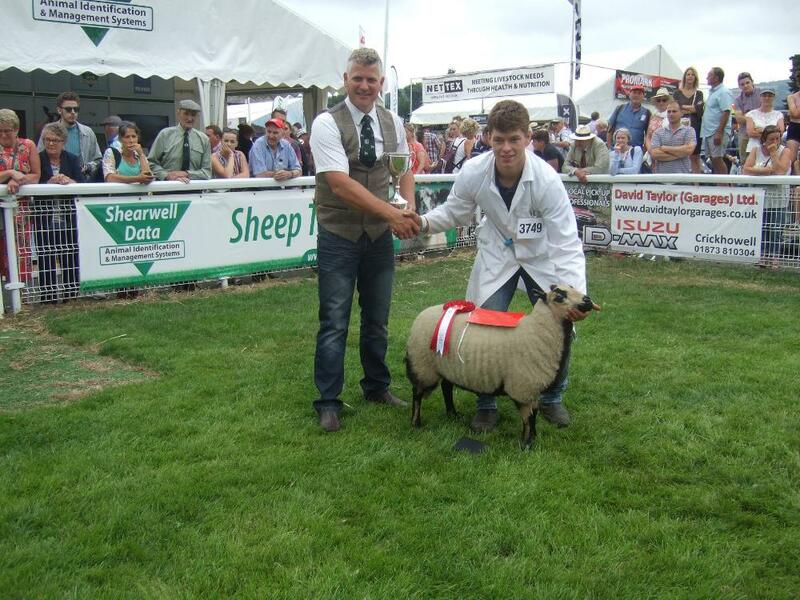 Gower Show. 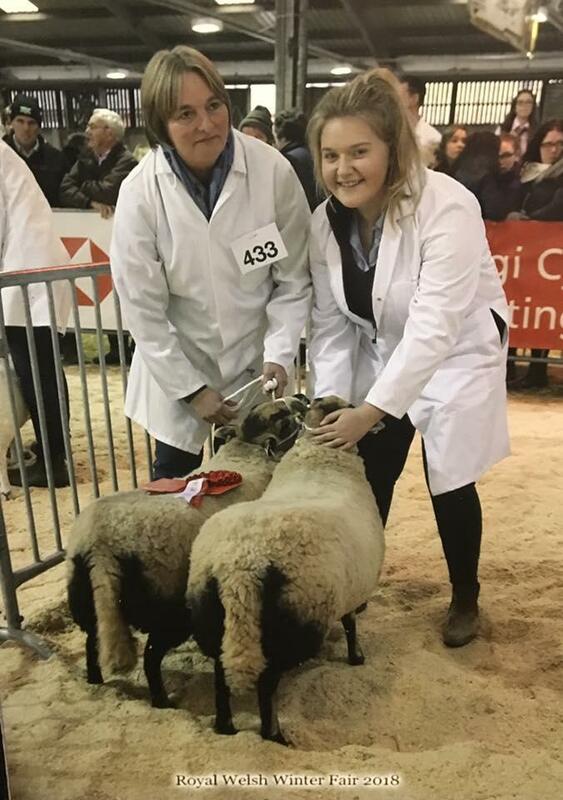 Judge Lucy Levinge. 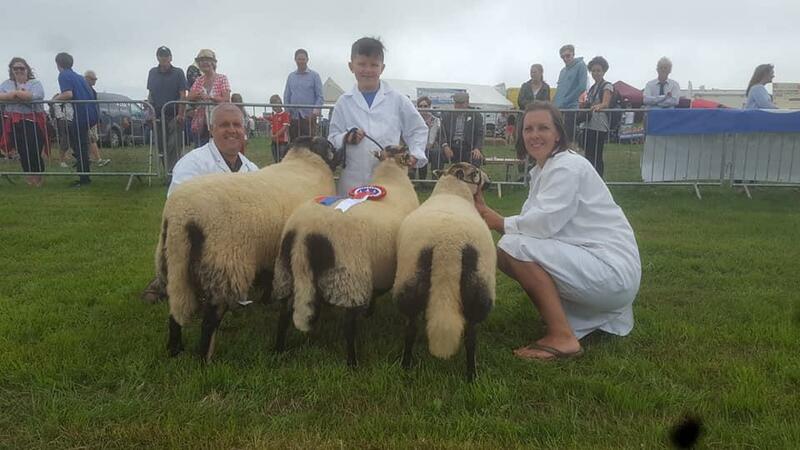 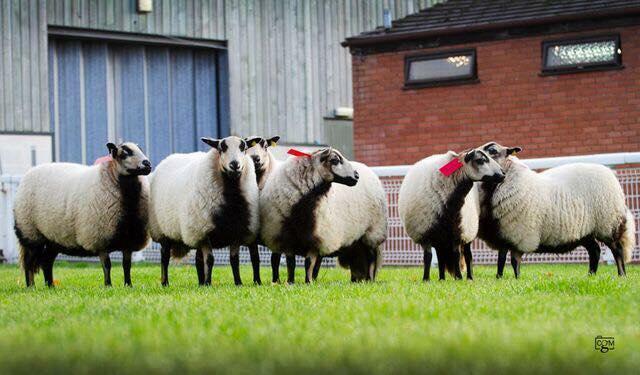 Champion and Reserve Brown family (Hudolus flock), also group of three and young handlers. 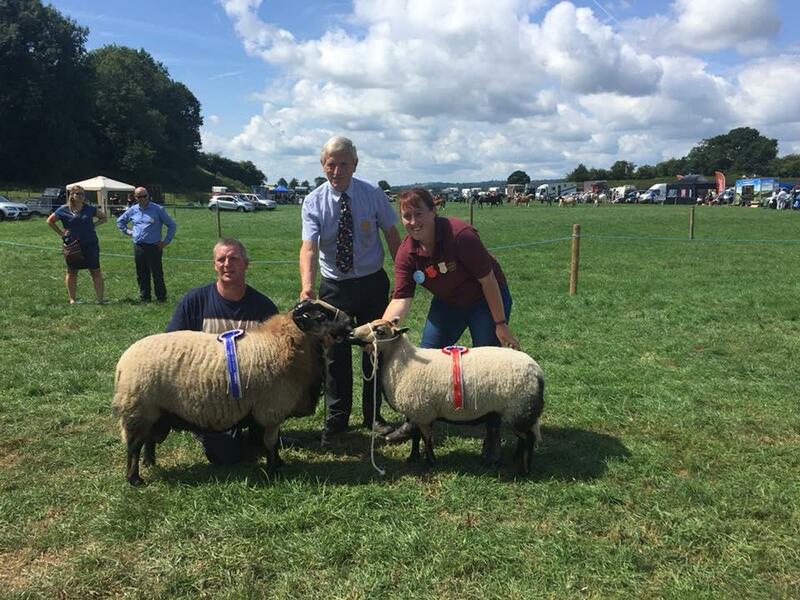 Tenbury Wells Show: Champion and Reserve Bayliss & Cole. 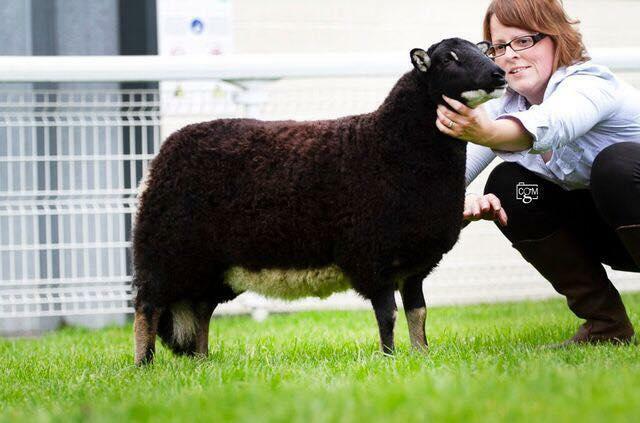 Judge Henry Jones. 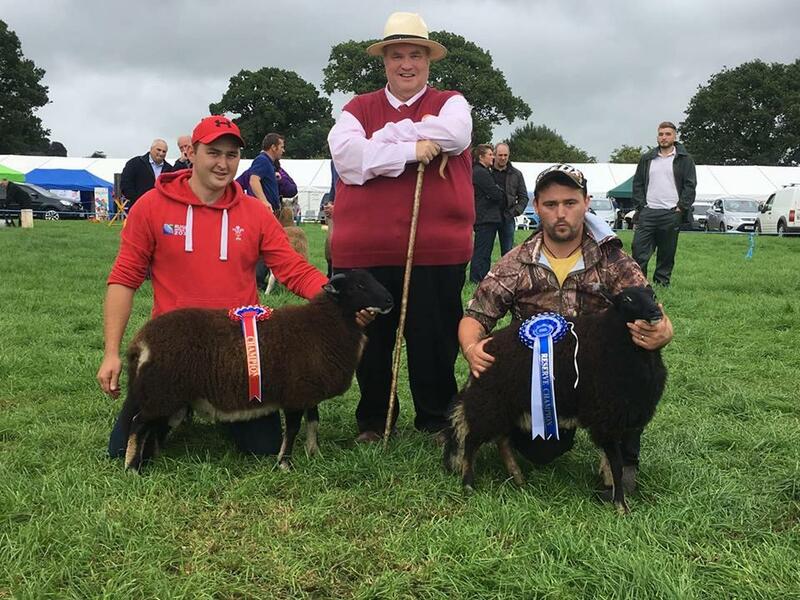 Capel Bangor Show Champion Torwen yearling ewe reserve aged ewe, champion Torddu aged ewe (all Meirion and Dafydd Williams). 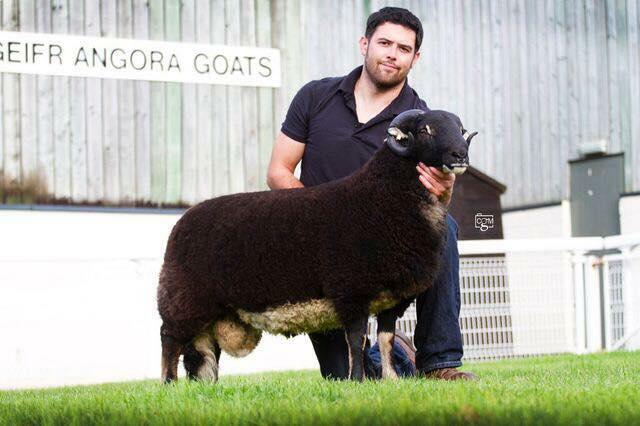 Reserve Torddu aged ram Gwylon Evans. 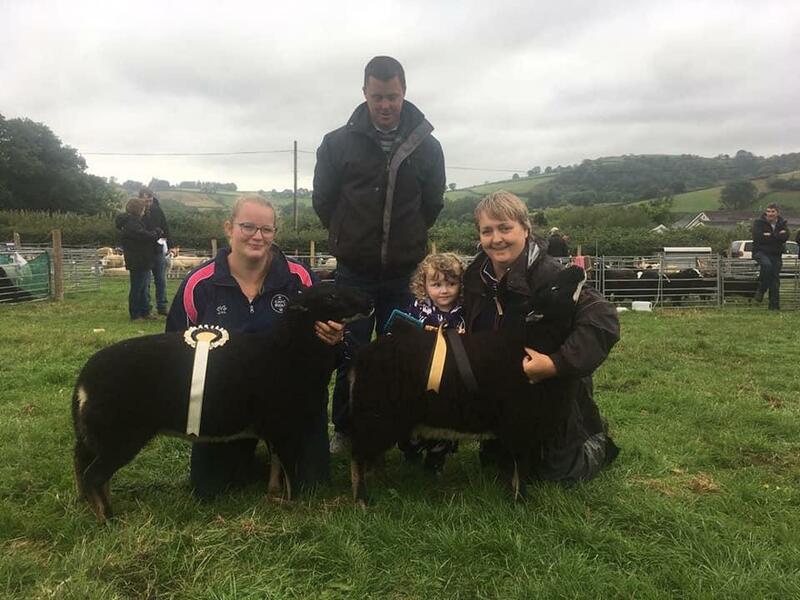 Judge Bethan Watkins. 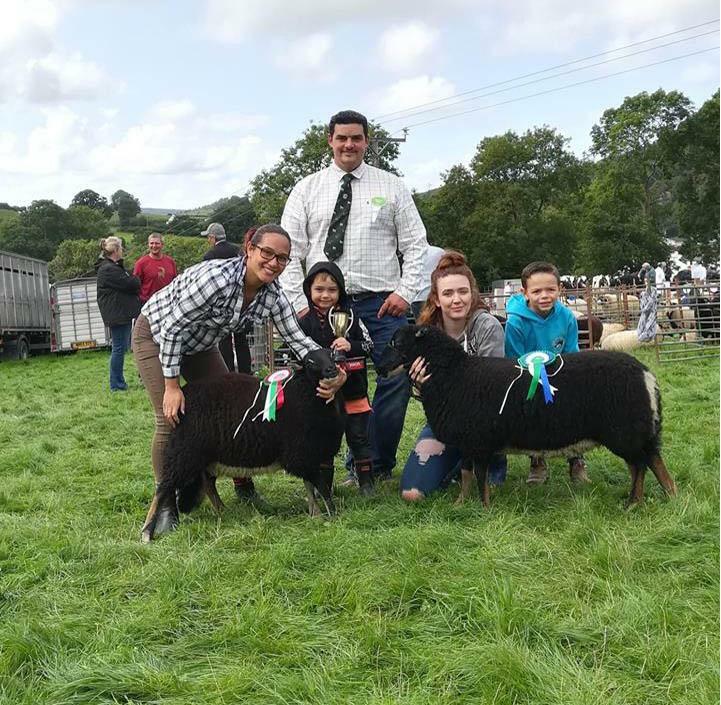 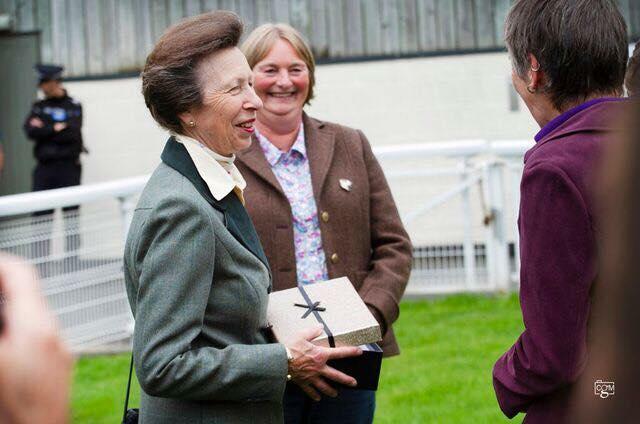 Hari Williams won young handlers. 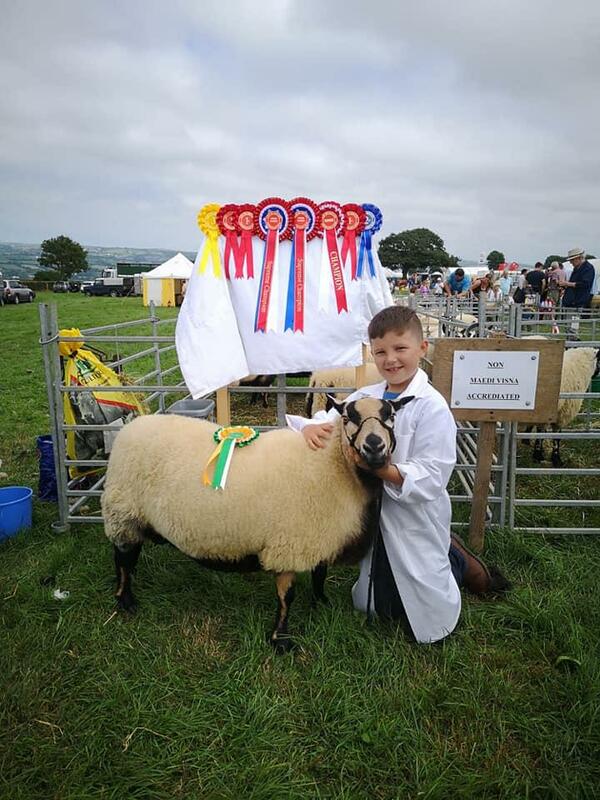 Cardiganshire County Show. 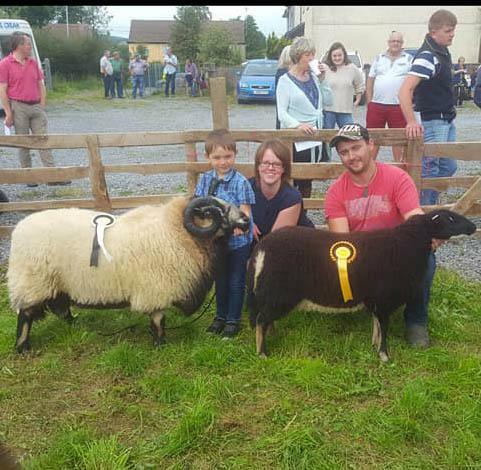 Champion Malcom Evans & family with yearling ewe, Reserve Eirian, Jasmine and Osian Jones with ewe lamb. 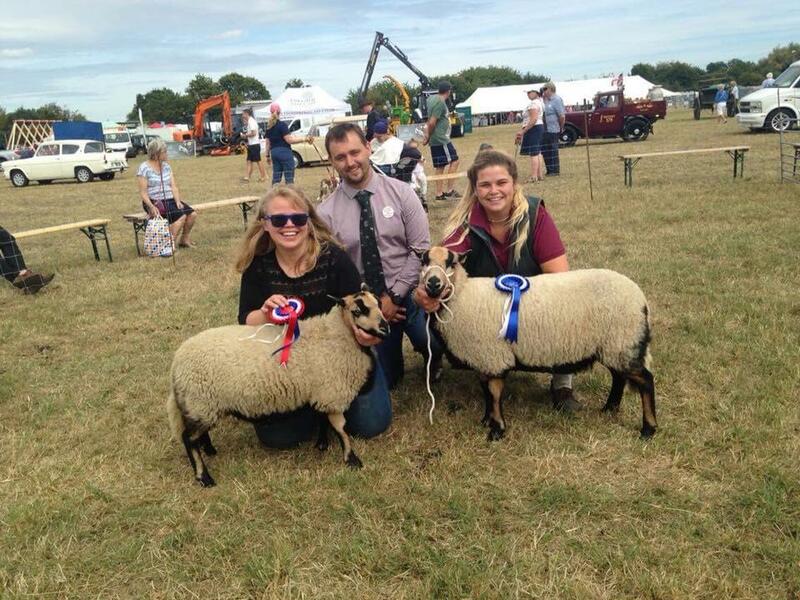 Evans family won the Supreme Interbreed group and Supreme Interbreed Champion. 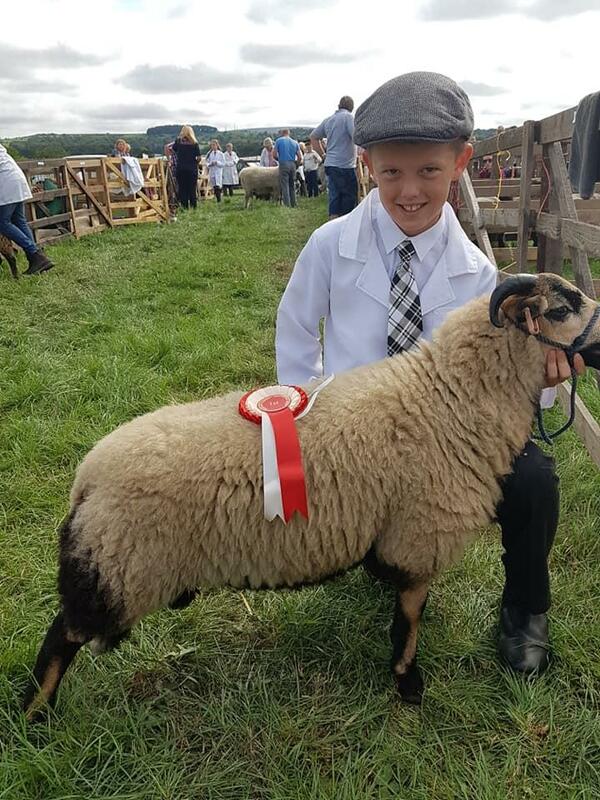 Sion Evans placed second in the young handlers class. 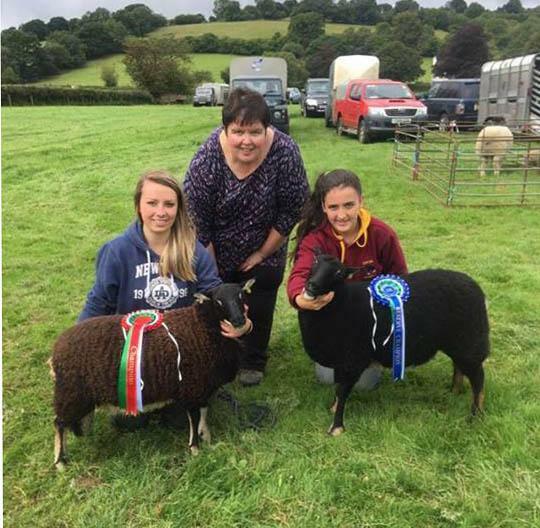 Llangadog YFC Show. 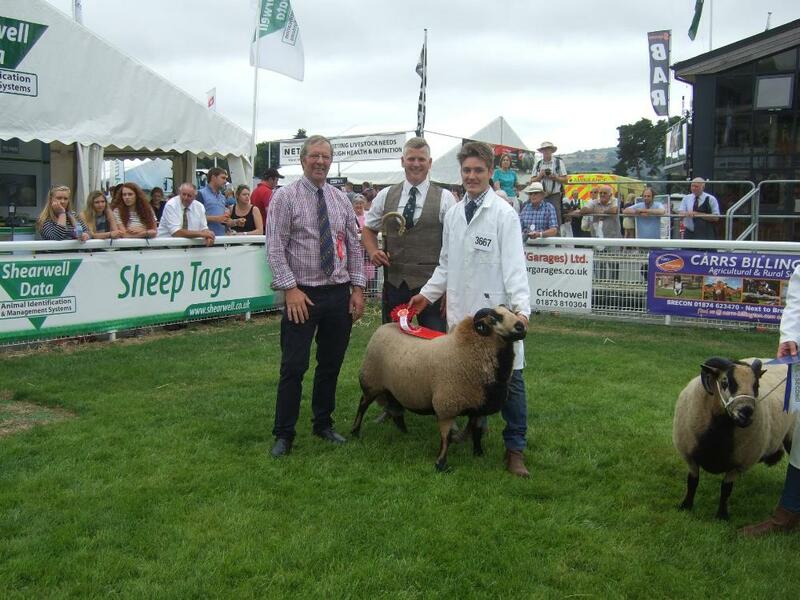 Judge Mr Pugh. 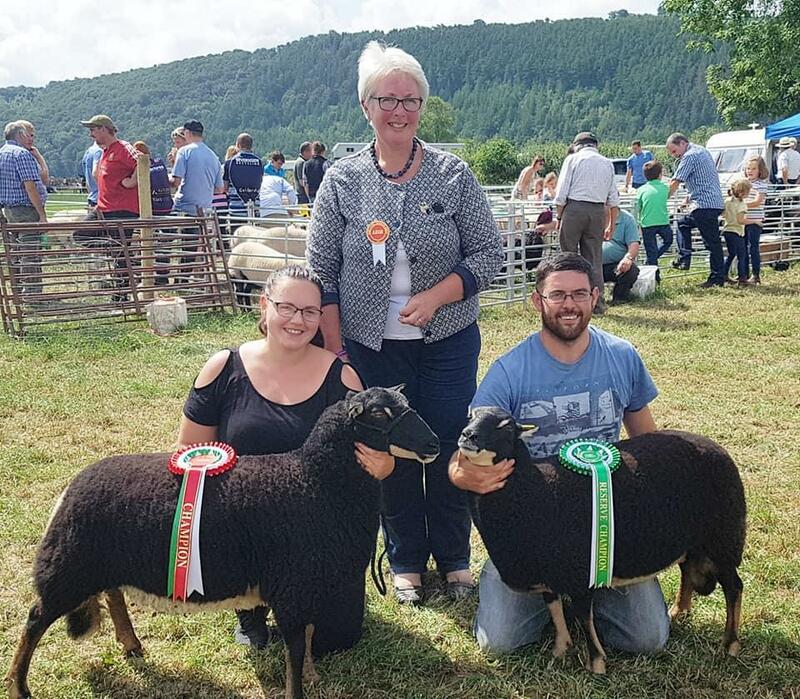 Torddu Champion Liz Davies, Reserve Alun Davies. 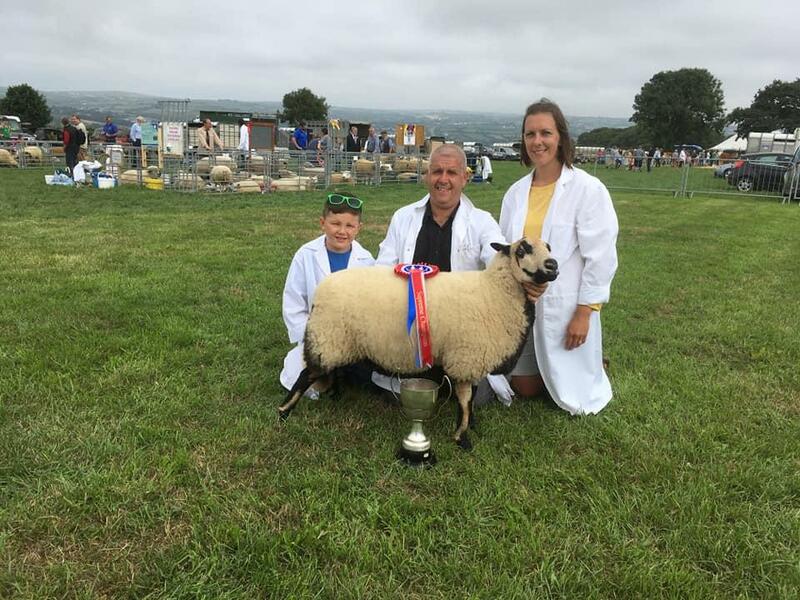 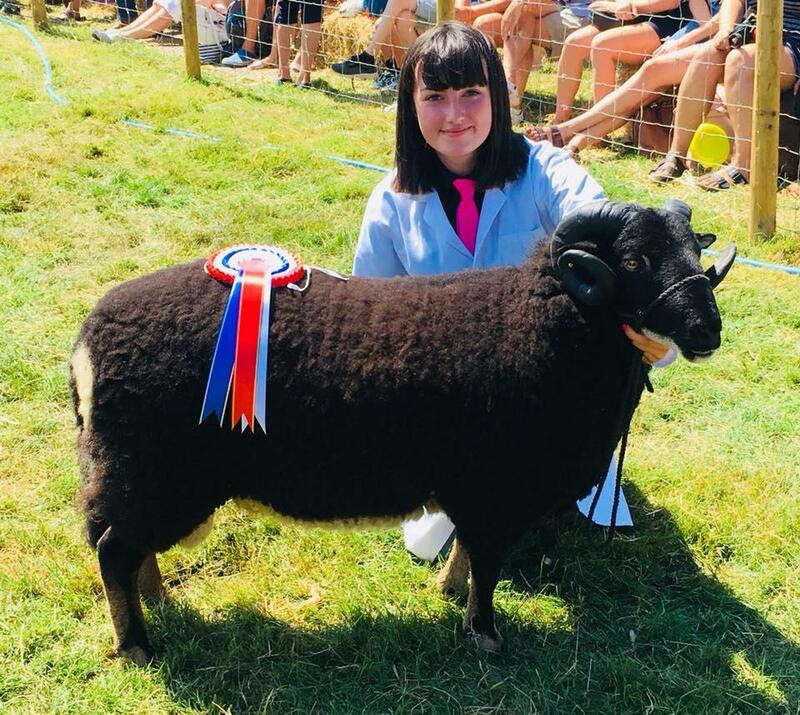 Sean Jeffreys: First prize Torddu shearling ewe, Reserve Female Champion, Winner of the Alun Isaac Memorial (Sean's great grandfather) presented by Sean's cousins, Hanna and Tomos Watkin (Alun Isaac's grandchildren). 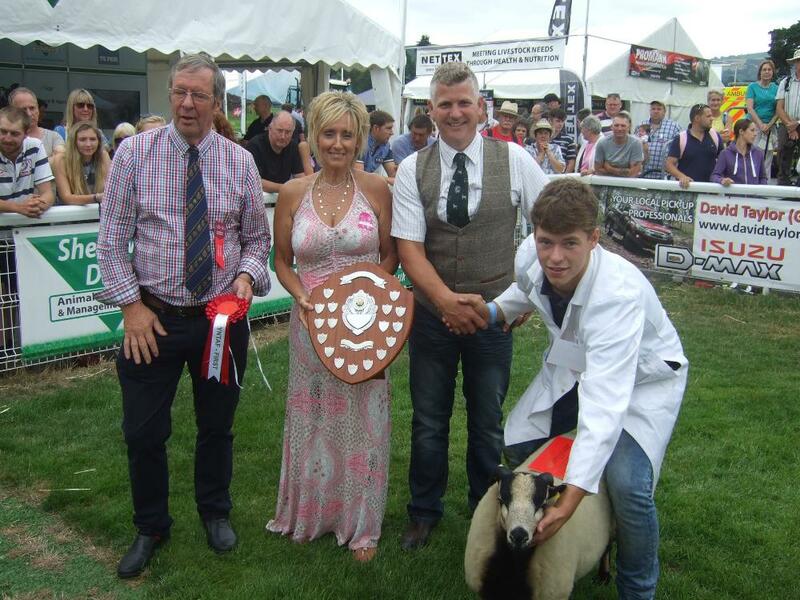 A good entry of Badgerface at Cwmdu & District Show. 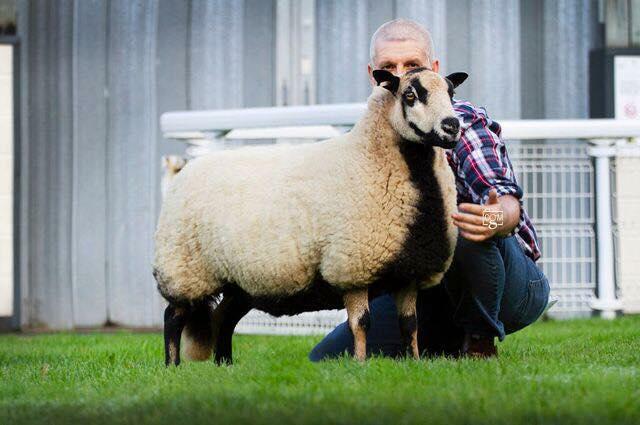 Champion C.A.& R. Joseph (yearling ewe), Reserve Champion The Dillon Family (Aged Ram). 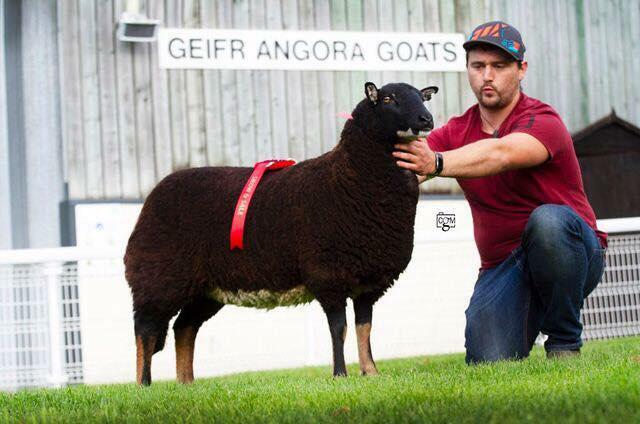 Judge Mr. Geraint Jones. 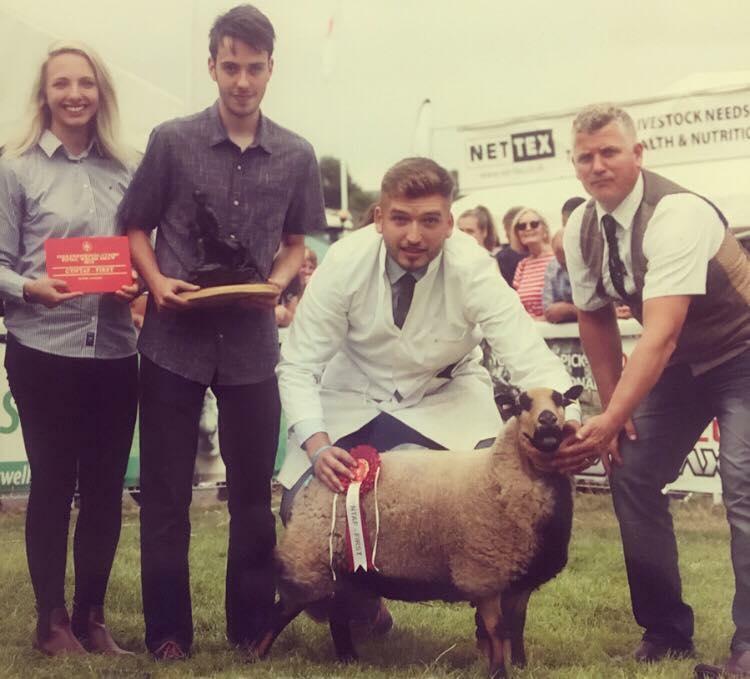 Bancffosfelen show. 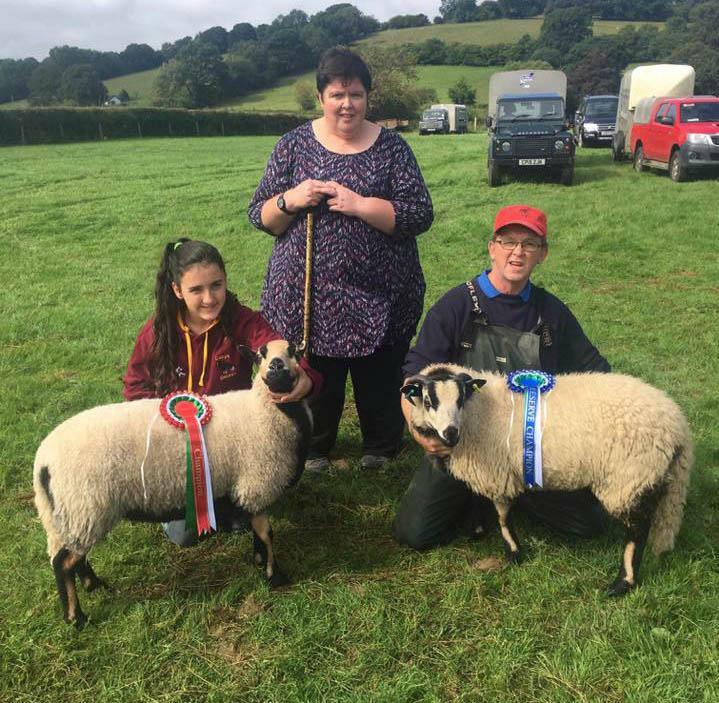 Champion and reserve Torddu Sean Jeffreys, Champion Torwen Sean Jeffreys, reserve Eirian & Jasmine Jones. 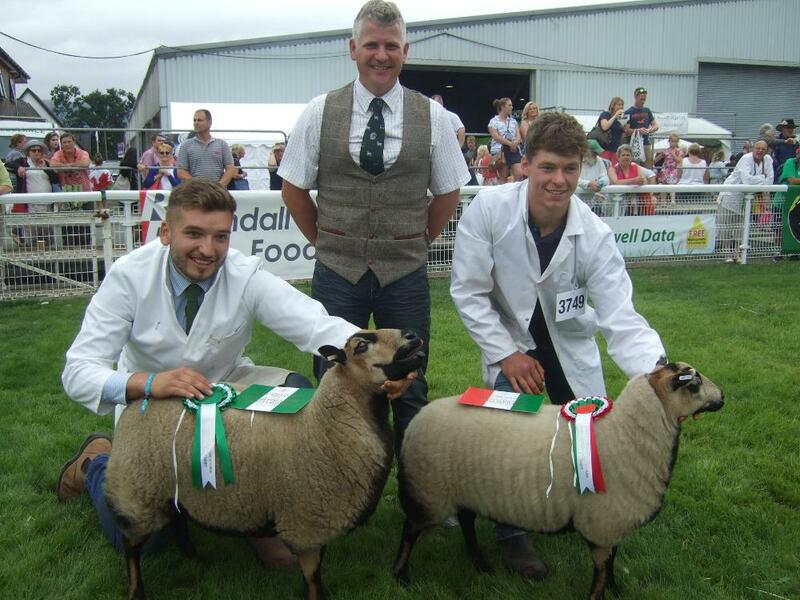 Judge Dafydd Williams. 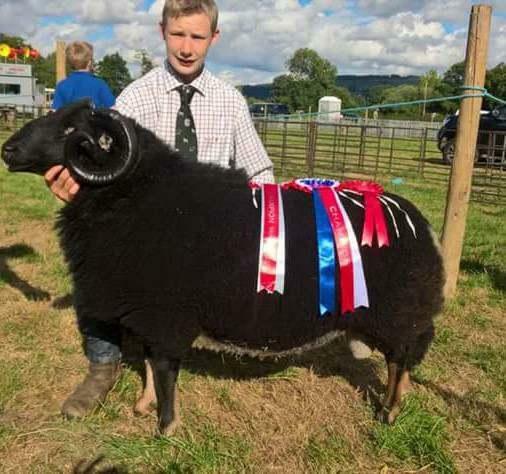 Bethesda Show Champion John Jones, Reserve Champion Myfyr John Jones. 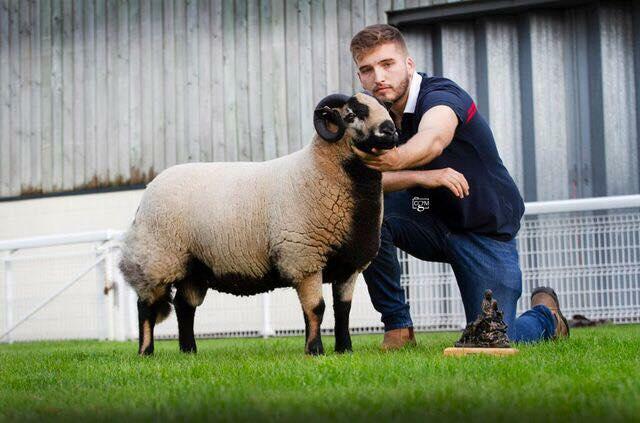 Champion Group Myfyr John Jones. 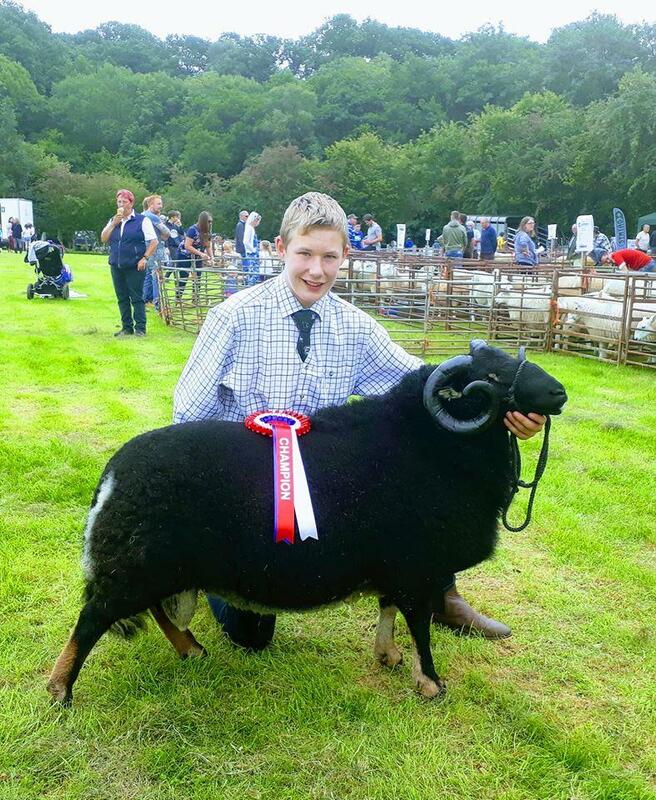 Judge Tudur Roberts. 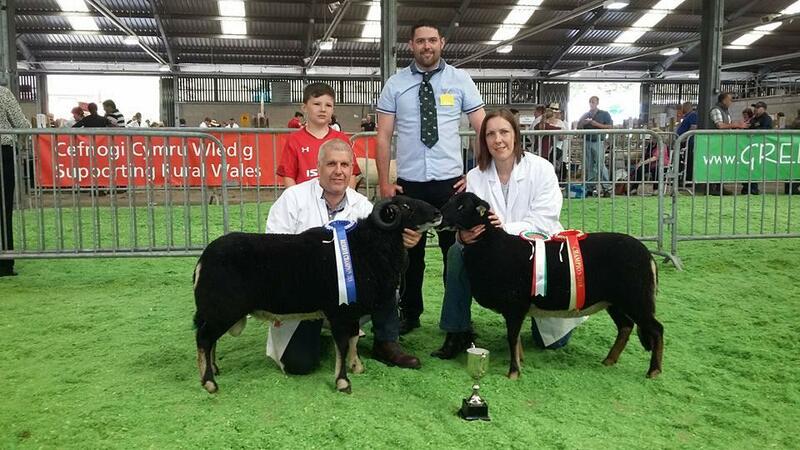 Torwen champion and reserve at Spring Festival: Evans family.